It is the year 1832. Adam arrives in Paris. He feels lonely and rarely leaves the house. He reminisces about his failed romance with Konstancja, who was willing to divorce her husband for him. “Celina is the wife I have been looking for.” The marriage served as a remedy for the spleen the poet had been suffering from over the past several years. In September of the following year Celina gave birth to their first daughter, Maria (later called “plump Misia”). Julian Ursyn Niemcewicz was in awe of the baby girl, whom he held during the baptism ceremony. Four more children followed – Władysław, Helena, Aleksander, Jan and Józef – born at approximately two-year intervals. The author of Dziady was recognized in the literary milieu of Paris, beyond the émigré circles. He quickly acquainted the French Romantics. Chopin was also helpful by introducing Mickiewicz to George Sand. Not only did Ms Sand offer him to proofread his French works; she also wrote one of the definitive reviews of Dziady. In 1834, Pan Tadeusz was published at the Pinard printing house. It was widely read – judging by the reaction it had provoked – but not understood. Mickiewicz was accused of altering the serious mood – after the story of Konrad, presenting the tragic Polish history as a national mission, he published a light story. Some people thought the poem was intended as a satire. Finally, the recurring refrain, valid until today, emerged – “why did he write ‘Lithuania, my Motherland”? Pan Tadeusz was the last epic poem by Adam Mickiewicz. Fryderyk Chopin / Jerzy, Aurore, George? 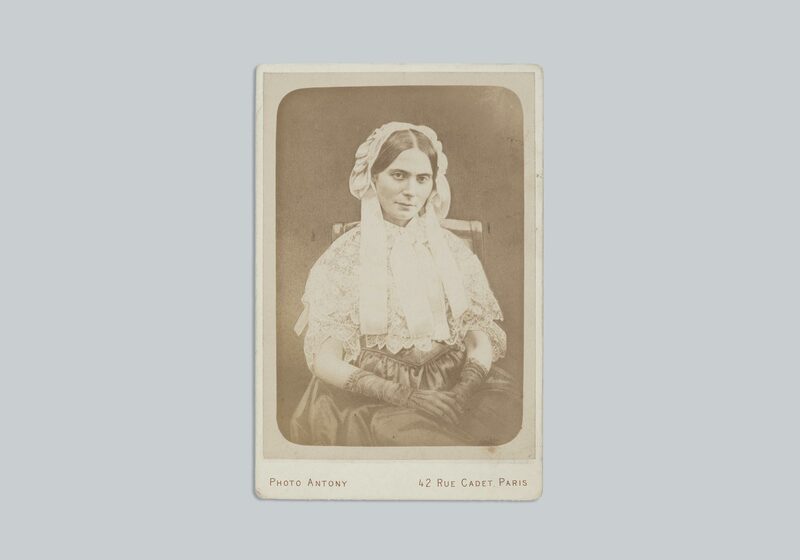 In 1840, the poet took up a post of the Slavic Literature Professor at the Collège de France in Paris. The émigré milieu hoped that Mickiewicz would lecture mostly on Polish literature, and that caused great concern for the French authorities due to its precarious relations with Russia. The poet, however, prepared lectures on subjects related to the broad Slavic field – in his letters at the time he repeatedly asks various acquaintances to lend him books. In January 1844 Mickiewicz declared that from that point on “he is no longer a professor. He is an organ of the Cause, the organ of the Circle.” It was undoubtedly the Circle of the Divine Cause – a religious group led by Towiański. In his lectures, Mickiewicz continued to attack the Catholic Church and began to devote his lectures to the topic of Poland’s spiritual guidance. Why was Mickiewicz so smitten with Andrzej Towiański? Was that because he sensed a spirit similar to his own in this “non-bookish” man (as he himself referred to Towiański)? Or perhaps the author of Pan Tadeusz simply awaited a sign heralding major changes and a new era? Perhaps, overwhelmed by his wife’s illness and depressed about the situation in his beloved country, Mickiewicz turned into a devout believer and gradually shifted towards a different kind of religiosity. What was the fluid about? And, finally, was Towiański a hypnotiser? The émigré milieu was apprehensive not only about the fact that an outsider took “their own” Mickiewicz away but also about the hermetic, sectarian nature of the Circle of the Divine Cause. In 1848 a series of revolutionary upheavals known as the Spring of Nations swept across the European continent. In Paris, Prince Czartoryski contemplated creating a Polish legion. Mickiewicz decided to act rather than deliberate. He managed to recruit a dozen people in Rome. All in all, the unit totalled approximately 200 soldiers and joined in the fight to liberate Italy. The poet returned to Paris, organized a group of associates and began publishing Trybuna Ludu (People’s Tribune) or, more precisely, La Tribune des Peuples. Prince Czartoryski sent Mickiewicz east to meet with Michał Czajkowski, also known as Sadyk Pascha, who had been a leader of anti-Russian activities there since the 1840s and organised the life of Polish emigrants who had left the country after the November Uprising. Mickiewicz wanted to organise a Polish legion there, as he had done in Italy, and a Jewish legion as well. It is difficult to establish the exact circumstances of the poet’s death; ironically, this is not due to the fact that we lack accounts on those circumstances. 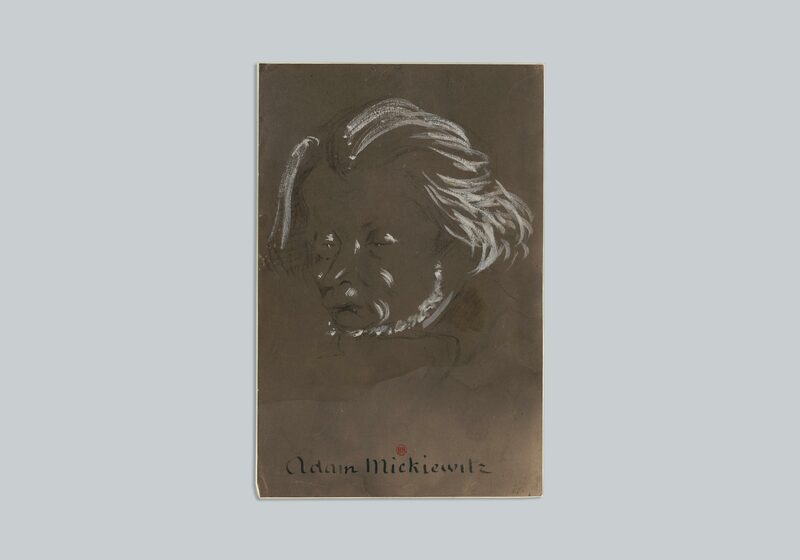 Quite the opposite, there are too many reports on the last hours of Adam Mickiewicz’s life. As many as thirteen people had been in contact with the author of Pan Tadeusz within the space of his last hours. Each of those thirteen people remembered the events differently. That is why scholars have been reluctant to accept the hypothesis that Mickiewicz had died of cholera and have been regularly reverting to the theory of poisoning. But even this is not yet the end. It is hard to imagine that the existence in Polish culture of the author of Dziady could possibly be terminated with closing of the crypt. 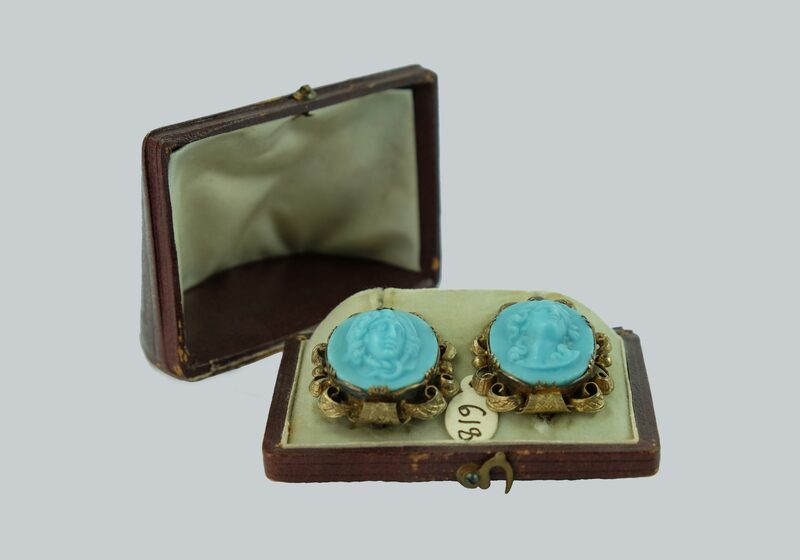 At the turn of the 20th century the poet revealed his true marketing colours – matches, soaps, sweets and even cigars and cigarettes were branded with a well-known portrait. They quickly became a sought after souvenir from, say, a trip to Krakow. Fryderyk Chopin / Is the corpse satiated with life? She arrived in early July. Initially Mickiewicz intended to send her back, but she did stay in the end. “I could not bring myself to subject her to that much trouble. Anyway, I quite like her,” he wrote in a letter to a friend. 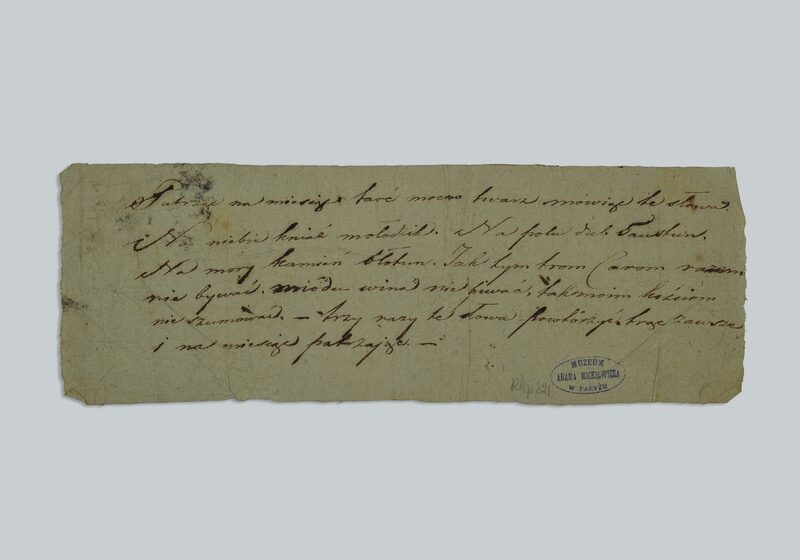 Less than three weeks later – on Monday, 21 July 1834 – Ignacy Domejko received a letter in which Mickiewicz requested his presence the following day at their mutual friend’s house, elegantly dressed. They picked Celina up from her uncle’s house and headed for St. Louis d’Antin church where Adam walked her down the aisle. Two weeks later he told his brother: “Celina is the wife I have been looking for.” The marriage served as a remedy for the spleen the poet had been suffering from over the past several years. In September of the following year Celina gave birth to their first daughter, Maria (later called “plump Misia”). Julian Ursyn Niemcewicz was in awe of the baby girl, whom he held during the baptism ceremony. 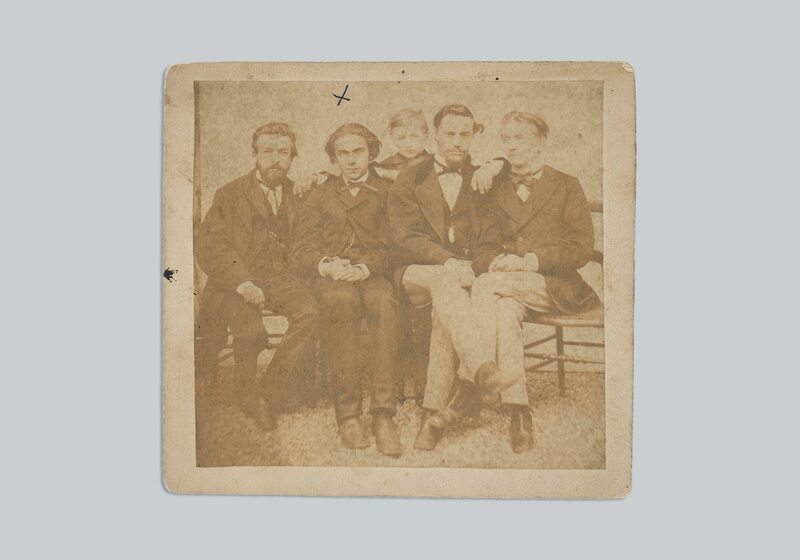 Four more children followed – Władysław, Helena, Aleksander, Jan and Józef – born at approximately two-year intervals. The Mickiewicz family were close to the Malewicz family – Helena, Celina’s older sister, and her husband Franciszek, Adam’s friend from the olden days. Zofia Szymanowska, Celina’s half-sister, was helping her rear the children. The family problems began when Adam left for Switzerland, where he applied for a professorial post. He was soon summoned back home – Celina suffered mental breakdown, she was foretelling the future, claiming she was Holy Mary with the mission of redeeming the emigrants and the Jews. She ended up in a psychiatric hospital in Vanves near Paris. Mickiewicz had to look after the children by himself and did not manage to prepare the layout for a series of lectures he had applied for. When Celina returned home, they decided that as soon as she got well they would go to Lausanne together with their two children. Mickiewicz took the post at the Latin literature department. He taught six classes per week, spending all evenings on preparation for the lectures. 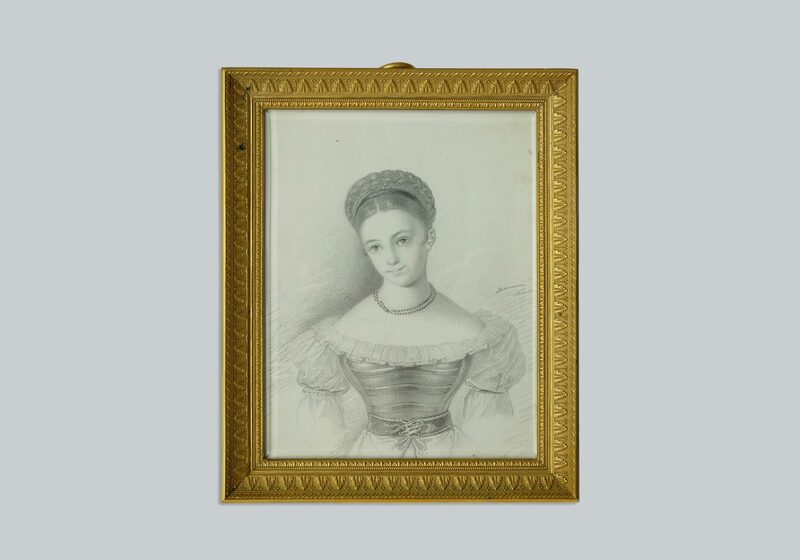 In the summer of 1841 Celina was once again hospitalized in Vanves. While there, she wrote a poem which she sent to her husband. He sent her his mother’s bracelet, which she often wore. In the meantime, Andrzej Towiański arrived in Paris, all the way from Lithuania. The Master became an important presence at the Mickiewicz’ household and managed to cure Celina from her ailments. Towiański was soon followed by Ksawera Deybel, a petite lady of bad repute, known as the Israelite Princess. She embarked on a love affair with Mickiewicz which was to last for many years to come. “The poetry bubble burst over Mickiewicz” in Dresden – in 1832, he completed third part of the poetic drama Dziady (The Forefathers’ Eve) and arrived in Paris as an established author. 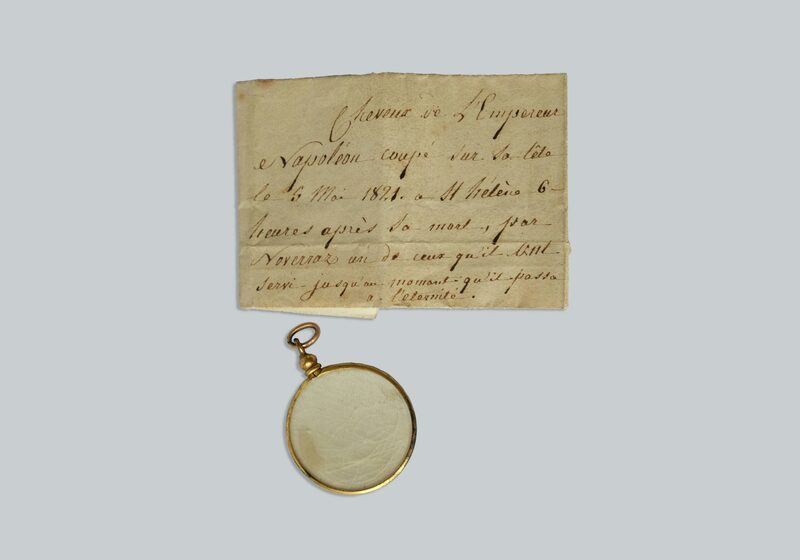 The emigrants residing in a dépôt in Besançon, graduates of the Vilna University, welcomed the poet offering him a ring with a lyre. Dziady was published by Księgarnia i Drukarnia Polska. Towards the end of the year, Mickiewicz finished writing Księgi narodu polskiego i pielgrzymstwa polskiego (The Books of the Polish People and of the Polish Pilgrimage), which were almost immediately translated into French by Lemaître and published in Belgian and French press. Simultaneously, the poem was translated by Charles Montalambert, a friend of Mickiewicz. 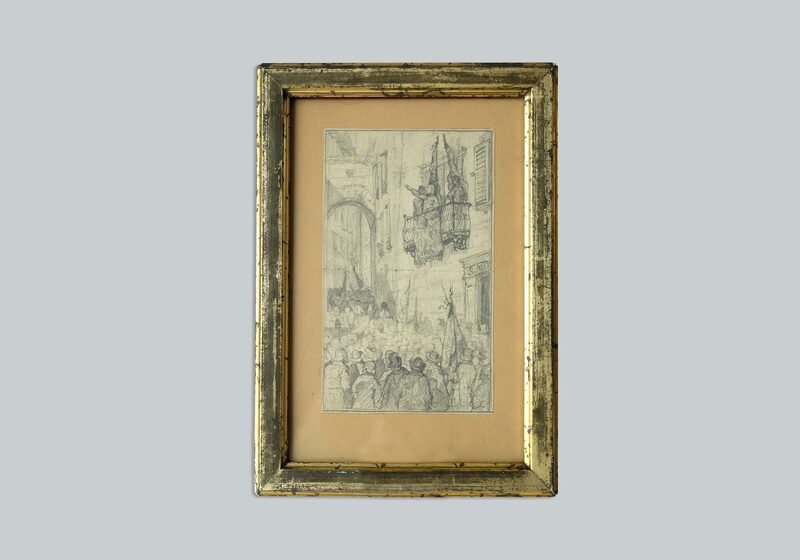 The poem, written in biblical prose, was also a journalistic declamation – referring to the ‘here and now’ of the émigré reality and to the project of grand moral and religious restoration which was part of the divine plan, it heralded the beginning of a new era. Mickiewicz perceived the exile and wanderings of Poles as a pilgrimage of sorts – a journey of the selected few towards a defined, divine destination. The author of Dziady was now recognized in the literary milieu of Paris, beyond the émigré circles. He quickly acquainted the French Romantics. Chopin was also helpful by introducing Mickiewicz to George Sand. Not only did Ms Sand offer him to proofread his French works; she also wrote one of the definitive reviews of Dziady. In her “Essay fantastic drama. Goethe – Byron – Mickiewicz”, she analysed the poem next to Faust and Manfred, as the three most important drama pieces of the era. In 1840, the poet quit his job in Lausanne and took up a post of the Slavic Literature Professor at the Collège de France in Paris. The post had been negotiated for a long period of time – the department of Slavic Literature had to be established. 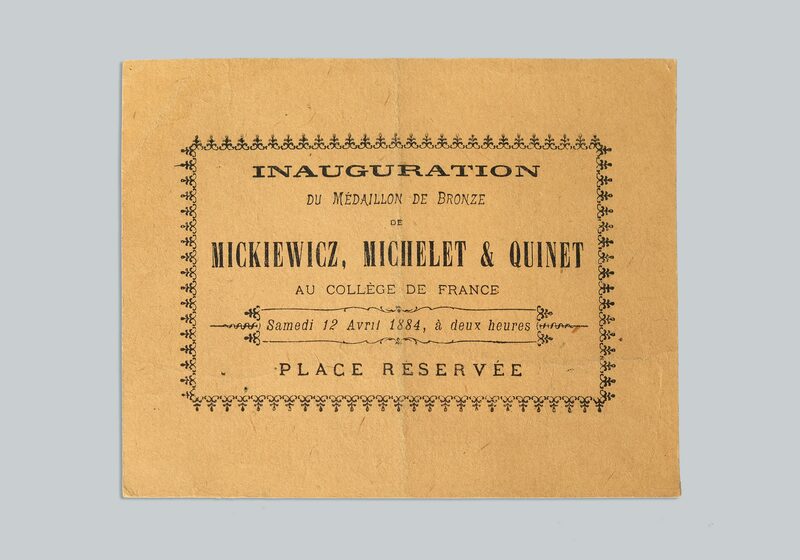 The émigré milieu hoped that Mickiewicz would lecture mostly on Polish literature, and that caused great concern for the French authorities due to its precarious relations with Russia. The poet, however, prepared lectures on subjects related to the broad Slavic field – in his letters at the time he repeatedly asks various acquaintances to lend him books. 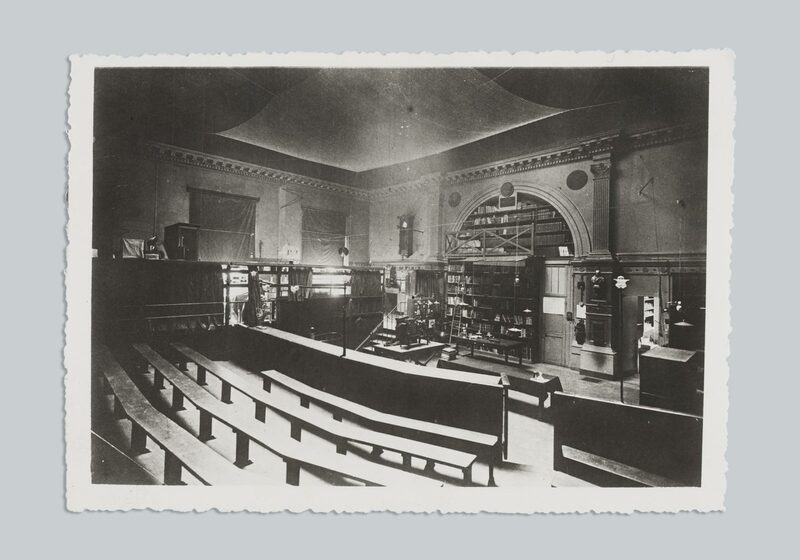 The first lecture, advertised in the press, took place on Tuesday, 22 December 1840, at 1.45 p.m. 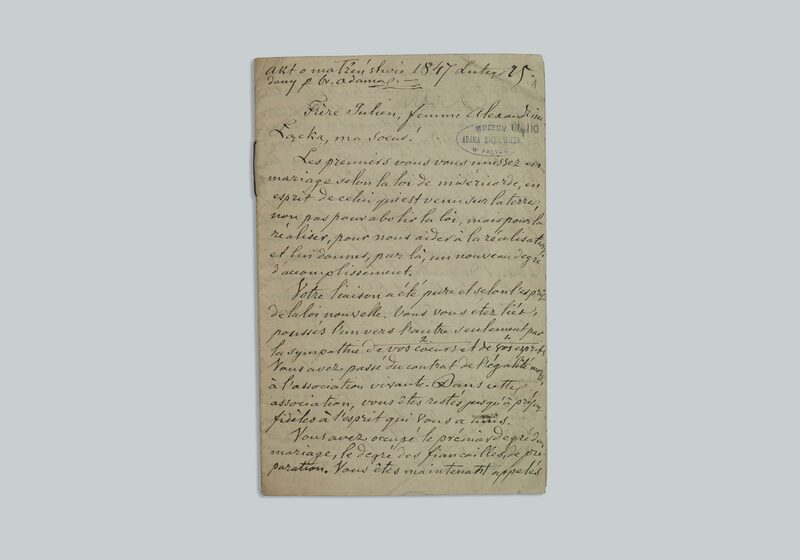 It was well received; Jules Michelet, a renowned French historian, also a lecturer at Collège de France, sent Mickiewicz a letter on the following day requesting that Mickiewicz elaborated on some detail. In the second and third academic year the number of listeners slightly decreased; now Poles constituted the majority of the audience. Having delivered lectures on Russian literature, Mickiewicz was denounced as a traitor and a spy. Democrats ridiculed his gushiness, monarchists deplored his interpretation of history. 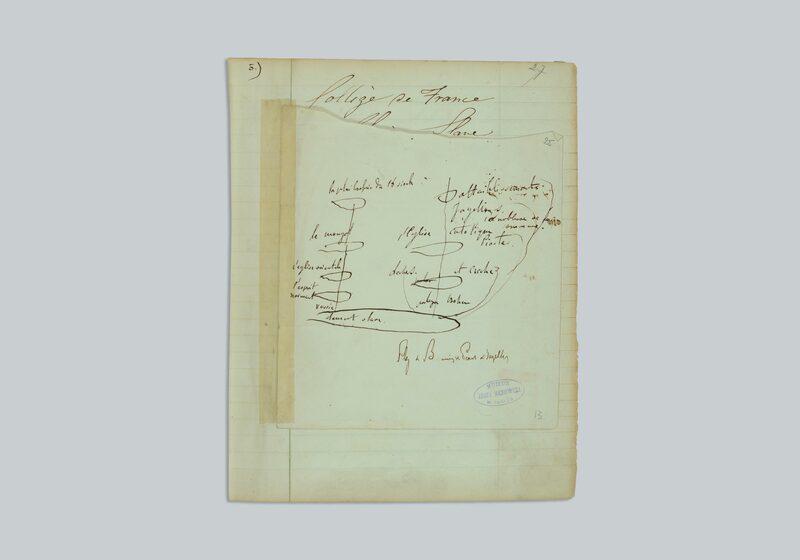 The lectures were shorthand-typed and translated into Polish (Mickiewicz lectured in French). In January 1844 Mickiewicz declared that from that point on “he is no longer a professor. He is an organ of the Cause, the organ of the Circle.” It was undoubtedly the Circle of the Divine Cause – a religious group led by Towiański. In his lectures, Mickiewicz continued to attack the Catholic Church which in turn tried to – with the help of Resurrectionists – dissect the Circle, deemed as a menacing sect. Mickiewicz was increasingly criticised; his friends tried to convince him to quit the lecturer’s job. On top of that, peculiar things would happen during the lectures – the audience reacted in a very emotional way, a woman stood up, all of a sudden, and started delivering a speech; someone fainted. Mickiewicz, unimpressed, began to devote his lectures to the topic of Poland’s spiritual guidance. 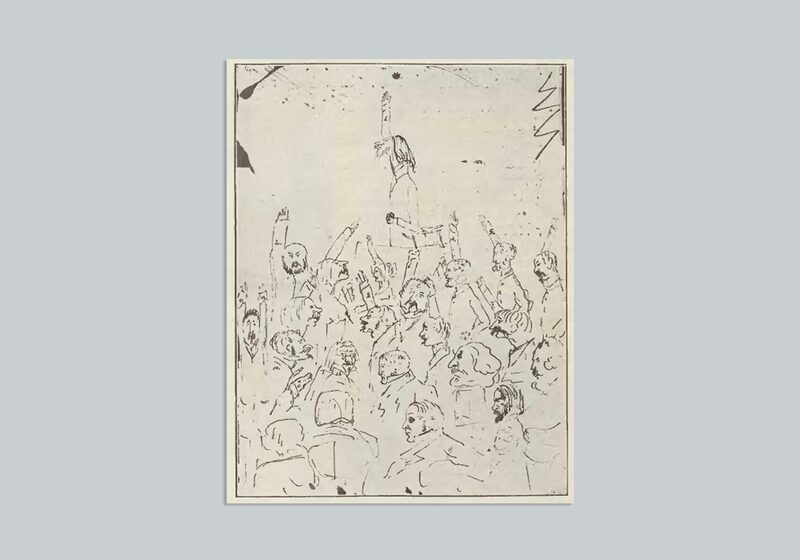 During his ultimate lecture on 28 May Mickiewicz distributed lithographs of Napoleon among his listeners and raised a glass to Biesiady by Towiański. Why was Mickiewicz so smitten with Andrzej Towiański? Was that because he sensed a spirit similar to his own in this “non-bookish” man (as he himself referred to Towiański)? Or perhaps the author of Pan Tadeusz simply awaited a sign heralding major changes and a new era? Perhaps, overwhelmed by his wife’s illness and depressed about the situation in his beloved country, Mickiewicz turned into a devout believer and gradually shifted towards a different kind of religiosity. What was the fluid about? And, finally, was Towiański a hypnotiser? (And, if so, was he also a Tsarist spy)? It is worth noting that whatever influence the meeting with Towiański exerted on Mickiewicz’s system of beliefs, it did not trigger a radical change in it. The existence of a spiritual realm, the idea of betterment through suffering and sacrifice for the sake of majority – all these constitute the Church doctrine and can also be traced in the early works by Mickiewicz. This way of perceiving a human being is in line with the general viewpoint of the Romantics. Metempsychosis was the element of Towiański’s creed which was contrary to the Catholic Church doctrine. Supposedly, Mickiewicz was able to – similarly to Towiański – “foretell” future lives. Nothing has been preserved, however, to prove that he indeed believed or even declared to believe in reincarnation. The émigré milieu was apprehensive not only about the fact that an outsider took “their own” Mickiewicz away but also about the hermetic, sectarian nature of the Circle of the Divine Cause. Despite being fuelled by notorious gossip, the Polish milieu in Paris functioned in a somewhat forced transparency – it was difficult to conceal anything in such a small community. Meanwhile, the members of the Towiański’s milieu did not share what had gone on during their meetings. 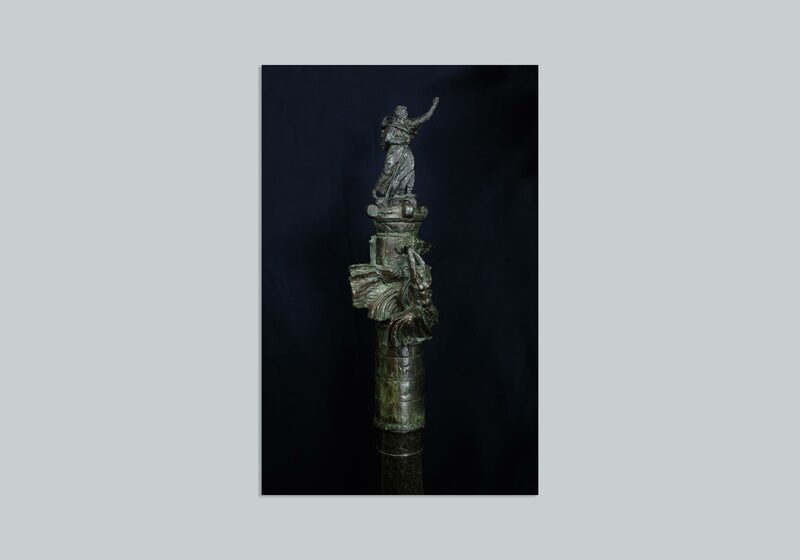 The text of Biesiada (The Revel), the Circle’s foundation act, had never been made public. The group fostered its peculiar rituals, such as distributing medals accompanied by embracing the Master’s knees (following Towiański’s deportation, “Brother Adam” became the group’s leader). 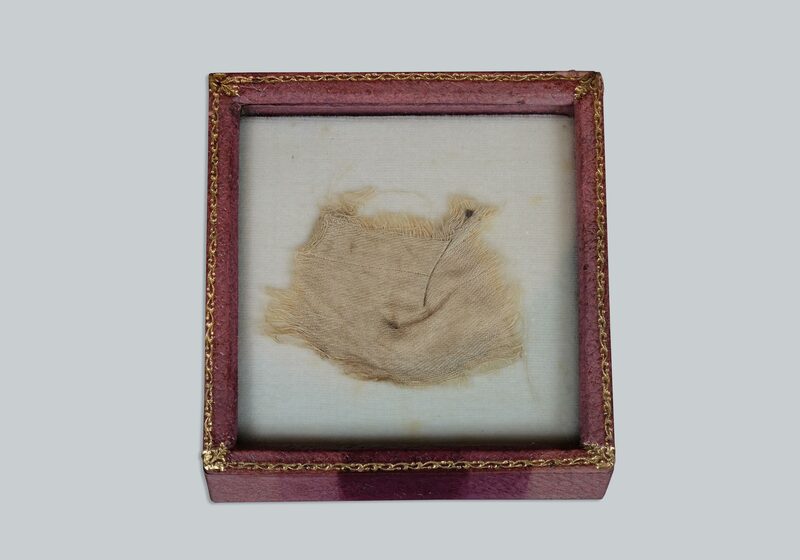 The relics of Napoleon were ceremoniously distributed as well – items such as bullets, leaves, pieces of wood from the tree under which Napoleon had rested or against which he had leaned were delivered specially from Waterloo. Around 1845 the relations within the Circle started to deteriorate. The power struggle was on – the role of Mickiewicz was diminished while private interests and personal conflicts came to the fore. Towiański was striving – to no avail – to win over influential figures; he solicited Czartoryski and sent a letter to Tsar Nicholas. One year later Mickiewicz, against his wife’s will, broke up his relations with Towiański (as it later turned out – only temporarily) and set up his own Circle. He grew impatient with the passivity of his brethren and sisters and set off to Italy to perform a deed. In 1848 a series of revolutionary upheavals known as the Spring of Nations swept across the European continent. In Paris, Prince Czartoryski contemplated creating a Polish legion. Mickiewicz decided to act rather than deliberate. He managed to recruit a dozen people in Rome (only one of them had gone through military training). All in all, the unit totalled approximately 200 soldiers and joined in the fight to liberate Italy. The poet returned to Paris, organized a group of associates and began publishing Trybuna Ludu (People’s Tribune) or, more precisely, La Tribune des Peuples, as the daily was published in French. 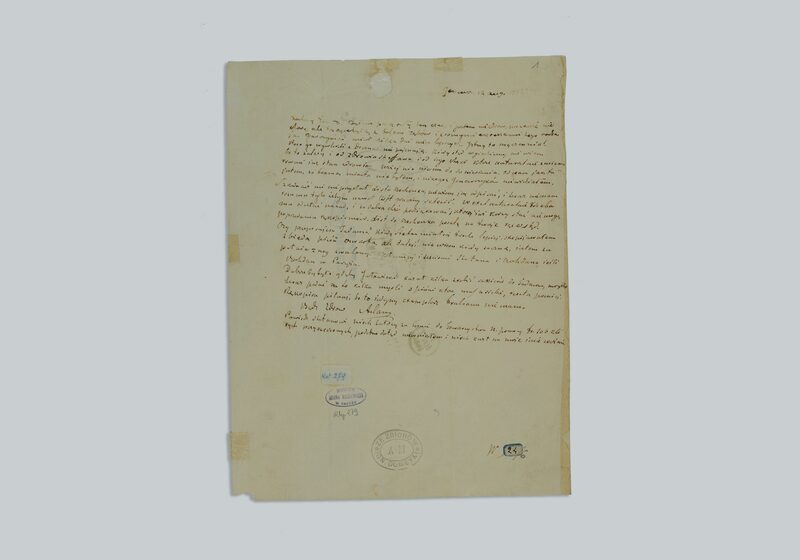 The motto of the newspaper were the three key issues declared by the French National Assembly on 24 May 1848: “Peaceful settlement with Germany. Liberation of Italy. Restoring free and independent Poland.” Mickiewicz did not sign his articles for the sake of security – he produced several dozens of those. Due to political pressure, all Poles working for the daily were made redundant and the paper ceased publication. Mickiewicz accepted the offer to take up the post of a librarian at the Arsenal Library in Paris. In 1853 a Crimean War broke out. The Ottoman Empire’s attack on Russia was perceived as a chance for Poland by the Hotel Lambert group. Prince Czartoryski sent Mickiewicz east to meet with Michał Czajkowski, also known as Sadyk Pascha, who had been a leader of anti-Russian activities there since the 1840s and organised the life of Polish emigrants who had left the country after the November Uprising. Mickiewicz wanted to organise a Polish legion there, as he had done in Italy, and a Jewish legion as well. He did not have much money for the journey, but he seemed to endure the hardships without any major problems. Soon, his health deteriorated. 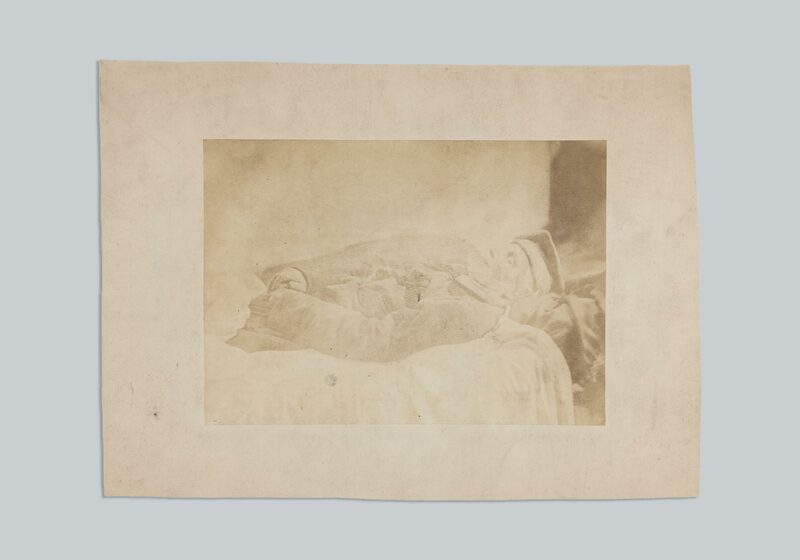 He died in a rented room in Constantinople on 26 November 1855. It is difficult to establish the exact circumstances of the poet’s death; ironically, this is not due to the fact that we lack accounts on those circumstances. Quite the opposite, there are too many reports on the last hours of Adam Mickiewicz’s life. 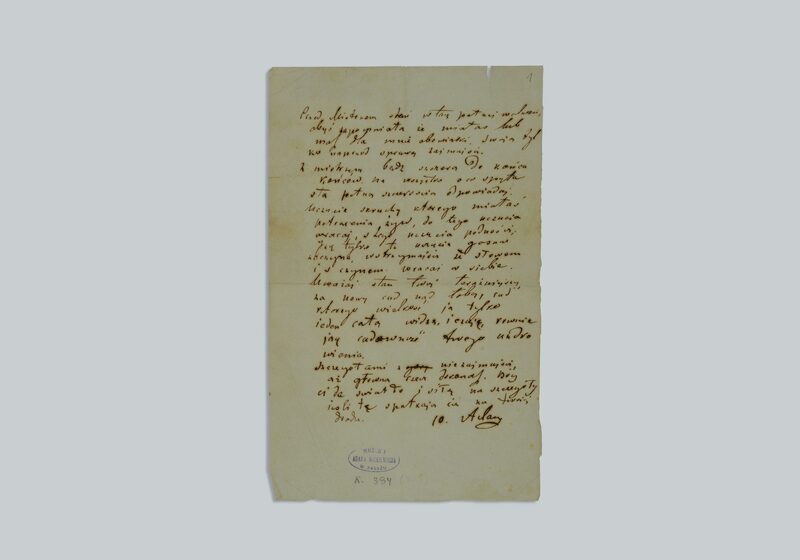 As many as thirteen people had been in contact with the author of Pan Tadeusz within the space of his last hours (amongst them Armand Levy and Henryk Służalski, his companions on the trip to Constantinople). Each of those thirteen people remembered the events differently. That is why scholars have been reluctant to accept the hypothesis that Mickiewicz had died of cholera and have been regularly reverting to the theory of poisoning. 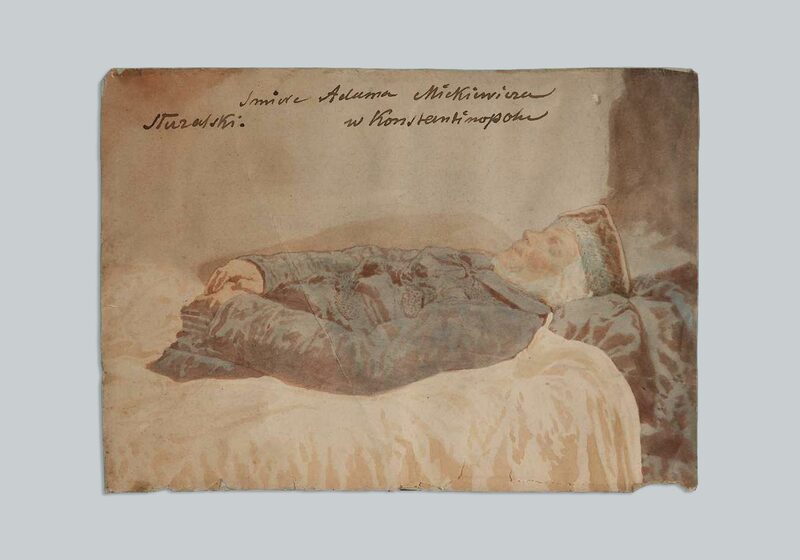 Mickiewicz’s body was photographed – without the posthumous mask – and then embalmed and placed in three sealed coffins. The argument over his burial followed. Everybody agreed that the poet should have been buried in his home country; however, since this was not feasible, the location of temporary burial had to be selected. 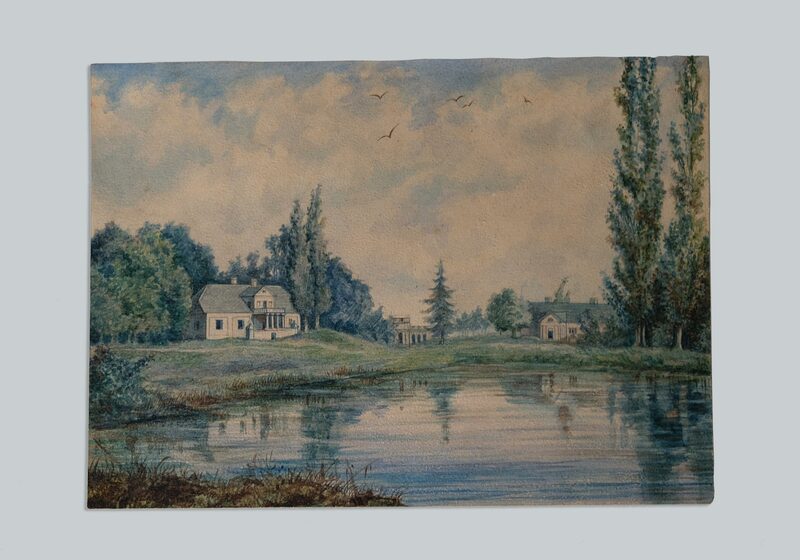 Eventually, the cemetery in Montmorency, a suburb of Paris, was chosen. On 30 December Mickiewicz set out on his penultimate journey, from Constantinople to Marseille on a steam ship, and from there to Paris. The funeral took place on 21 January 1856. This is by no means the end. We must remember that, in his poem Coś ty Atenom zrobił Sokratesie… (What Did You Do to Athens, Socrates…), Norwid poses a question: “What did you do to the people, Mickiewicz? (Coś ty uczynił ludziom, Mickiewiczu?) 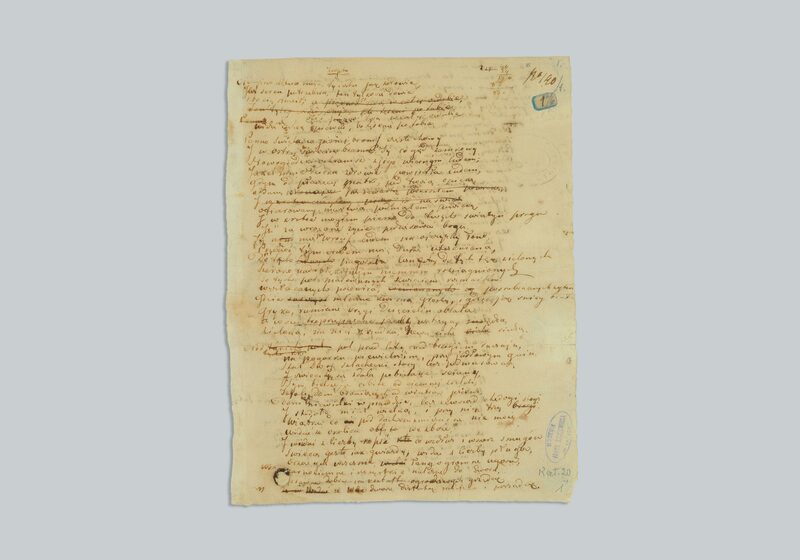 and leaves two subsequent verses void of text, awaiting to be filled with content. On 28 June 1890 a ceremonious exhumation took place. Mickiewicz’s remains were transported by railway from Montmorency to Krakow. His last funeral, organised with much panache and resembling a great national demonstration, was held on the Wawel hill on 14 July 1890. But even this is not yet the end. It is hard to imagine that the existence in Polish culture of the author of Dziady could possibly be terminated with closing of the crypt. Indeed, Dziady present an excellent proof of that – it is thoroughly scrutinized by both students and teachers each academic year and it barely leaves theatre stages. It does seem to exert a profound influence from the stage – the most blatant example being Kazimierz Dejmek’s staging of the poetic drama on 30 January 1968. 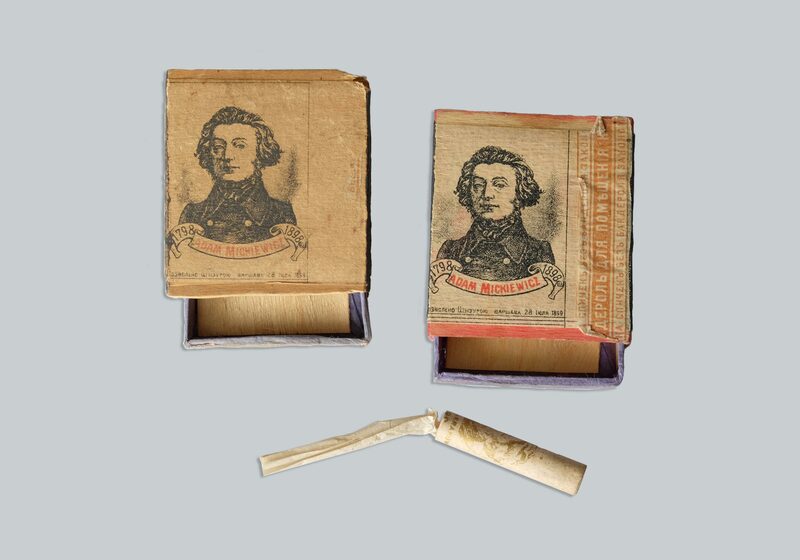 At the turn of the 20th century the poet revealed his true marketing colours – matches, soaps, sweets and even cigars and cigarettes were branded with a well-known portrait. They quickly became a sought after souvenir from, say, a trip to Krakow. Mickiewicz, interpreted in manifold ways, remains truly interesting not only to scholars. 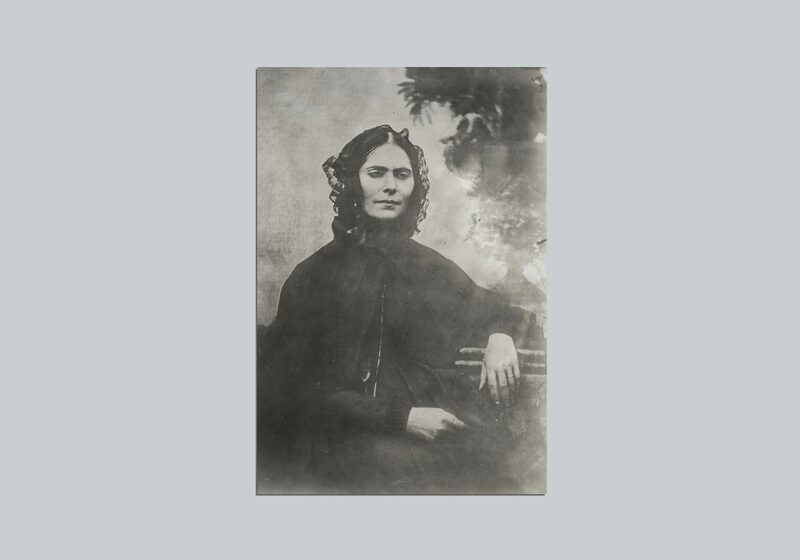 Maryla Wereszczakówna was one of the great loves of the poet’s youth. 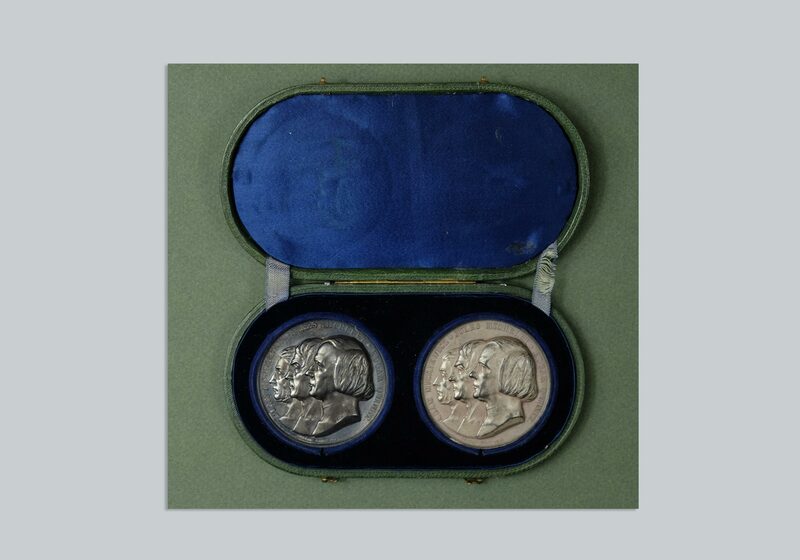 Mickiewicz supposedly kept mementos of her until his death. 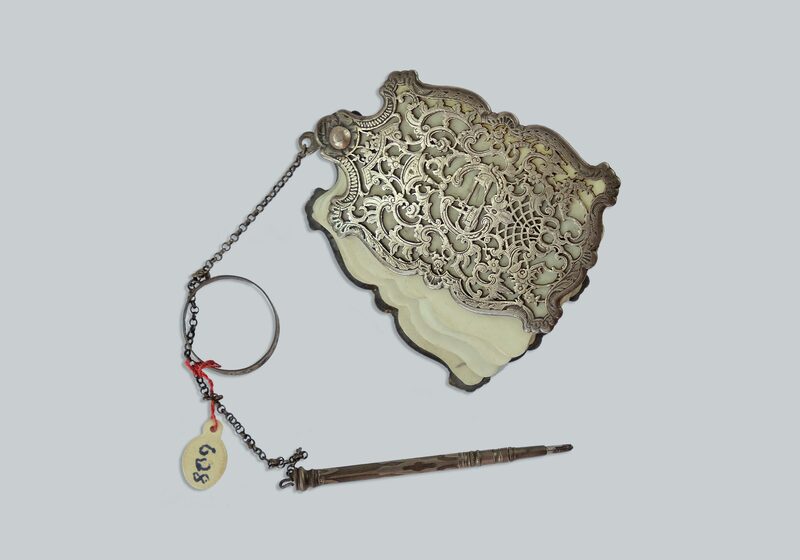 In the XIX century it was common to offer handmade gifts to a loved one. 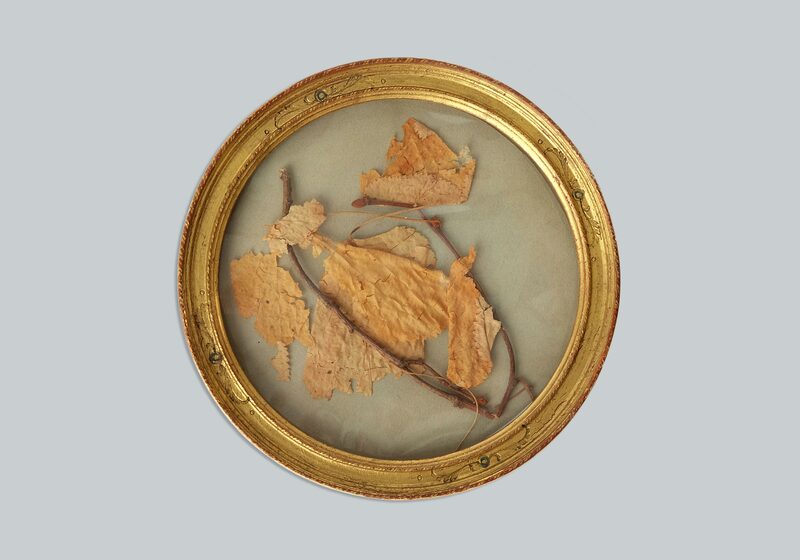 These leaves were collected as a memento in Tuhanowicze, the place where Mickiewicz met Wereszczakówna. 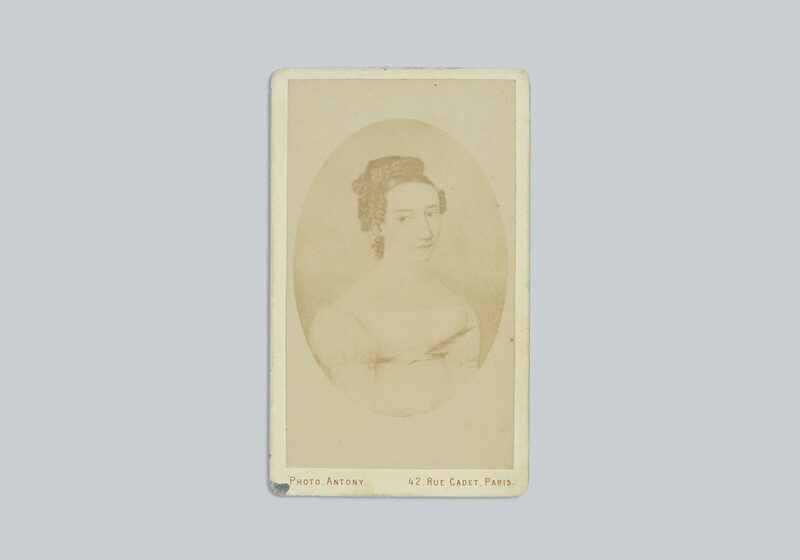 Maryla was most likely already engaged at the time. The relationship of Wereszczakówna and Mickiewicz, or rather its poetic transcription, was the canonical example of romantic love within Polish literature. Mickiewicz met Karolina Jaenisch in Moscow. 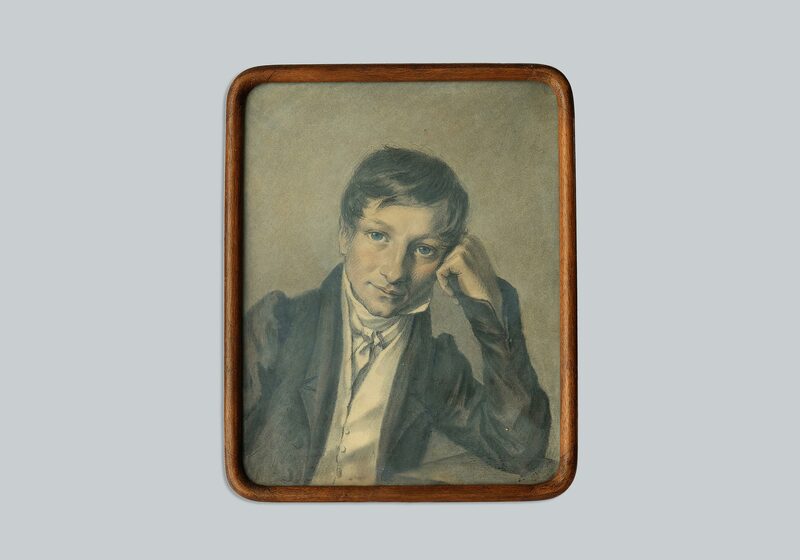 The lovestruck poet, painter, and student of Mickiewicz later translated Konrad Wallenrod into German. 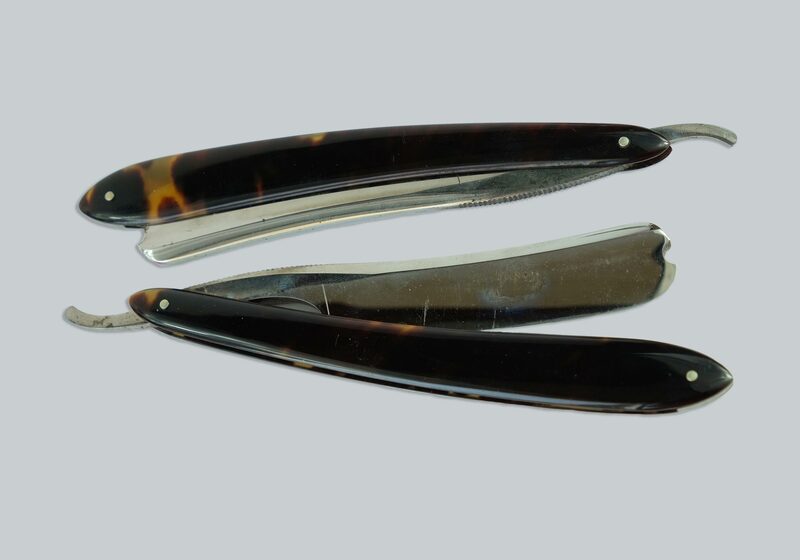 Hair was a highly sought after personal memento in the XIX century. 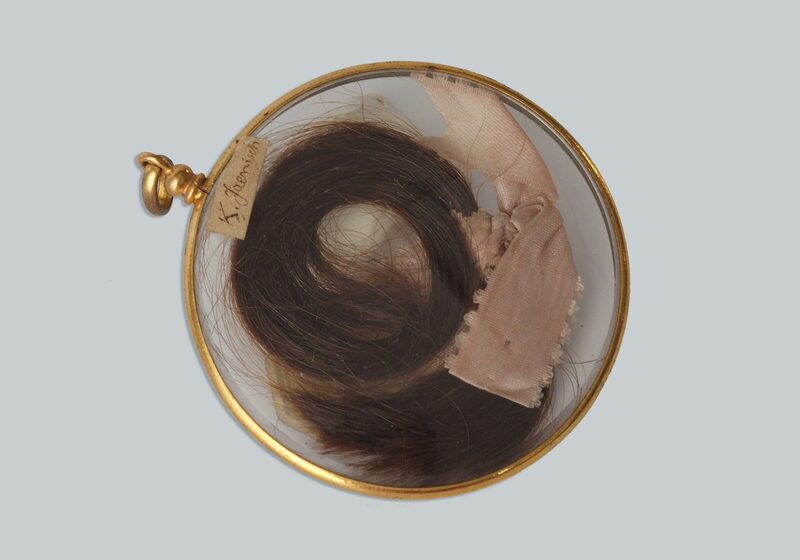 Lovers exchanged locks of hair, however collecting the hair of well known personas was also common practice. Often the locks were collected shortly after a person’s death. 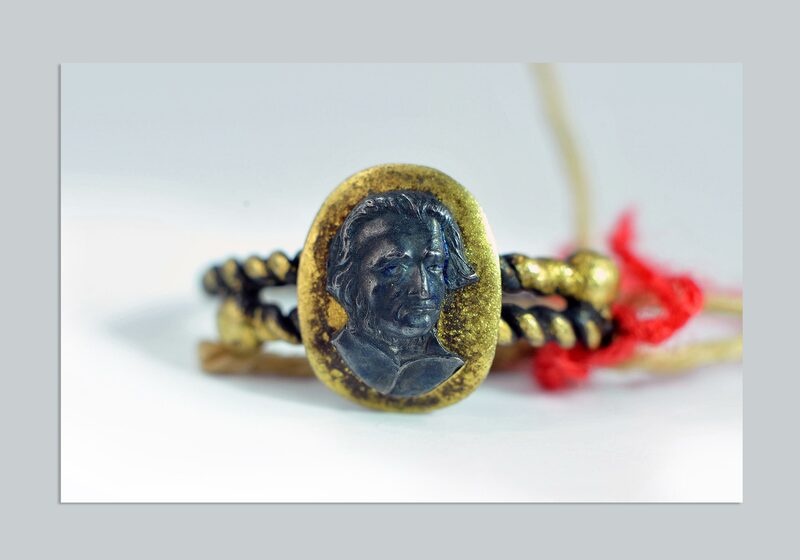 On the signet given to Adam by Karolina we see a gothically stylized letter “M”, perhaps for Mickiewicz? Or maybe for love (“miłość” in Polish)? Amongst the documents attributed to Mickiewicz a note describing a folk remedy for tooth pain was found. It’s difficult to decipher today, whether the note was meant as practical information or simply a novel piece of folklore. 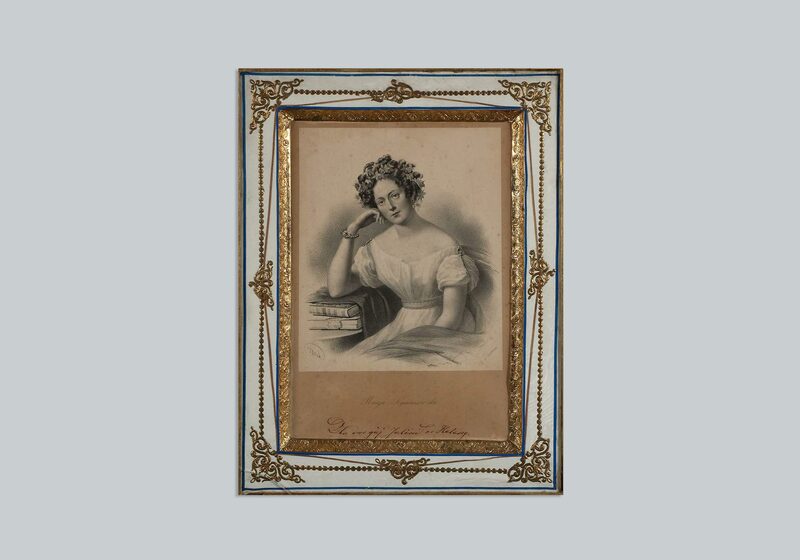 Maria Szymanowska – the future mother in law of Mickiewicz – was one of the first female professional pianists. She successfully held concerts throughout all of Europe. Her compositions were highly popular and her dedicated fans included the likes of J.W. Goethe. 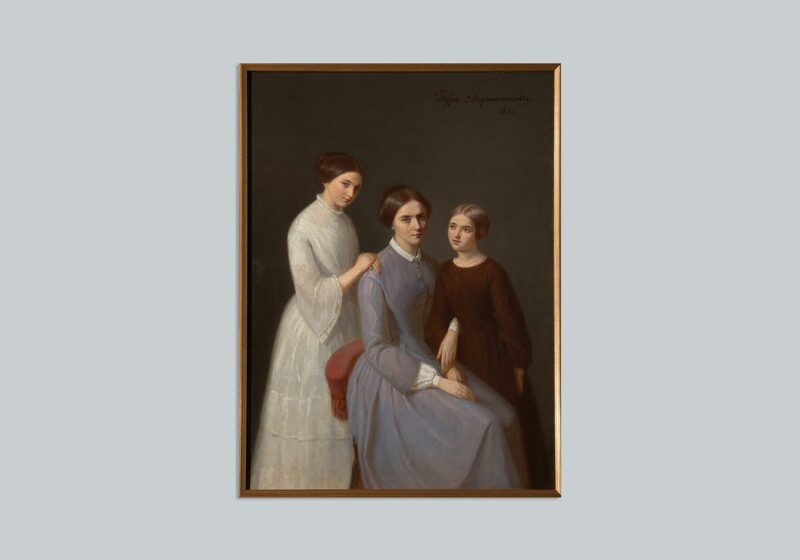 After oving to St. Petersburg she ran a salon frequented by Russia’s most prominent artists. 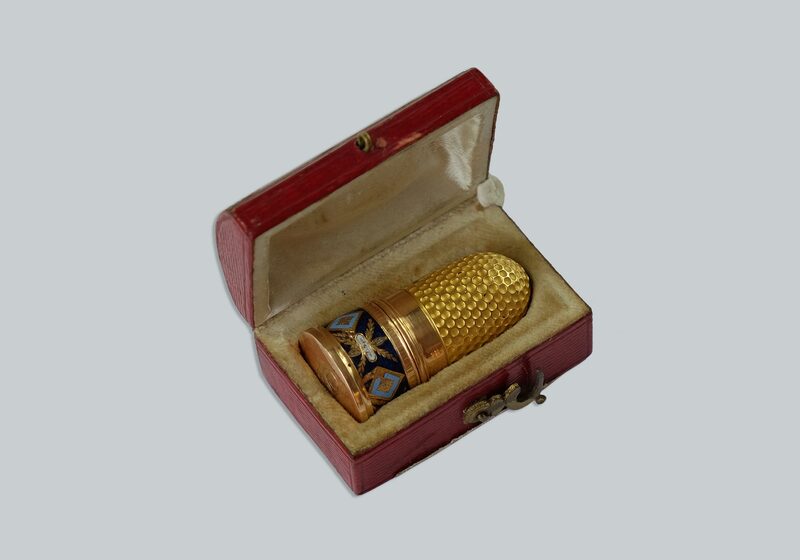 In the XVIII and XIX century, when sewing and embroidery were the only popular hobbies for women thimbles were an important tool. 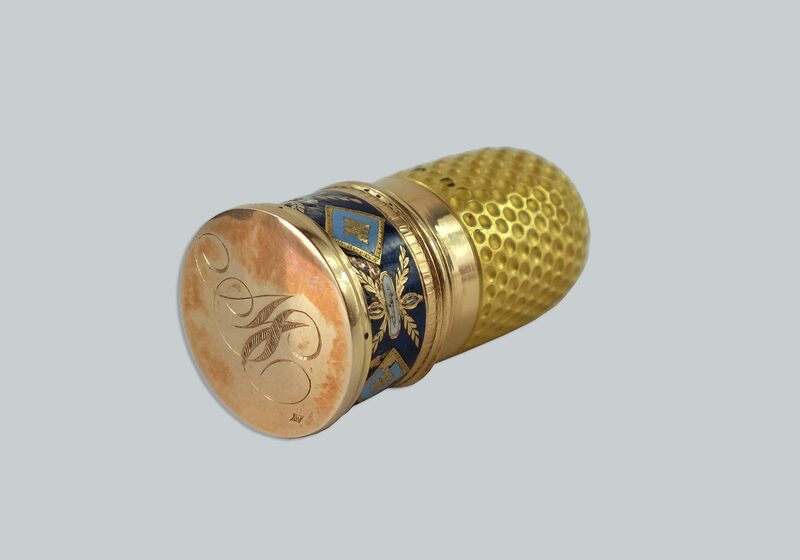 This one, belonging to the the famous pianist, is made of gold, and served as a rather elegant little gadget. The case in which the thimble is stored is only 4 cm long and 2 cm wide. 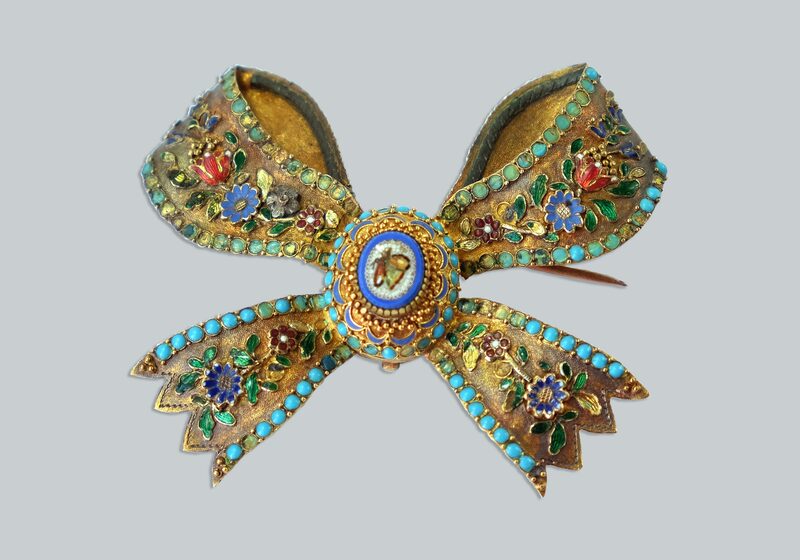 In the center of the brooch belonging to the daughter of Mickiewicz is a mosaic representing a butterfly. 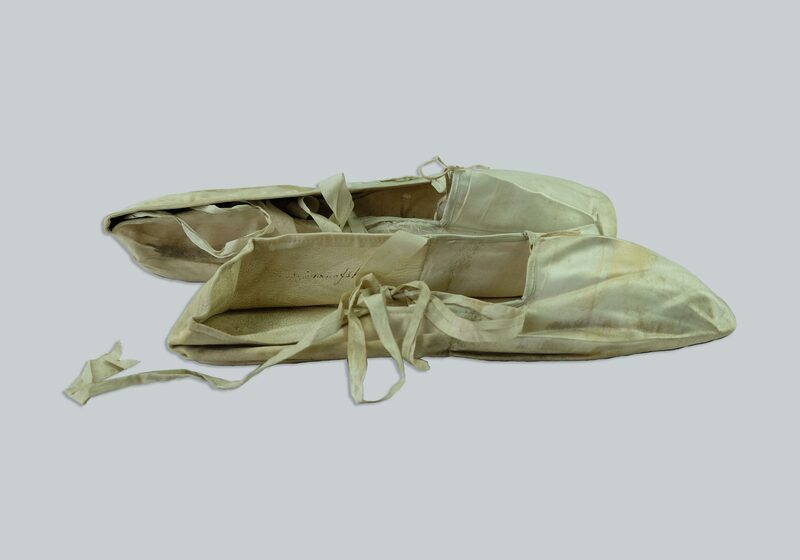 Maria Szymanowska wore size small shoes – as we can see in observing the sole of her slipper. 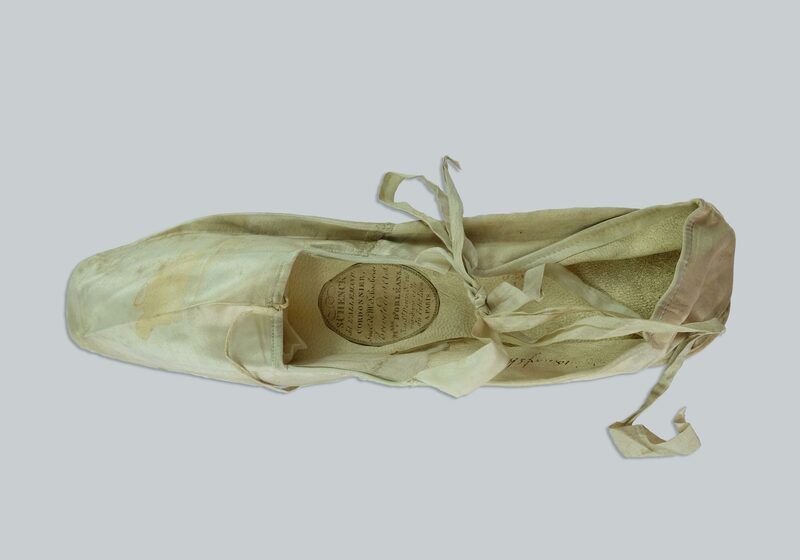 The shoes were evidently made to measure – inside the left one the pianist’s name has been preserved, mistakenly spelled with an “f”. A ball dance card – a forgotten element in today’s era – was used to note the names of gentlemen with whom a lady agreed to dance with. 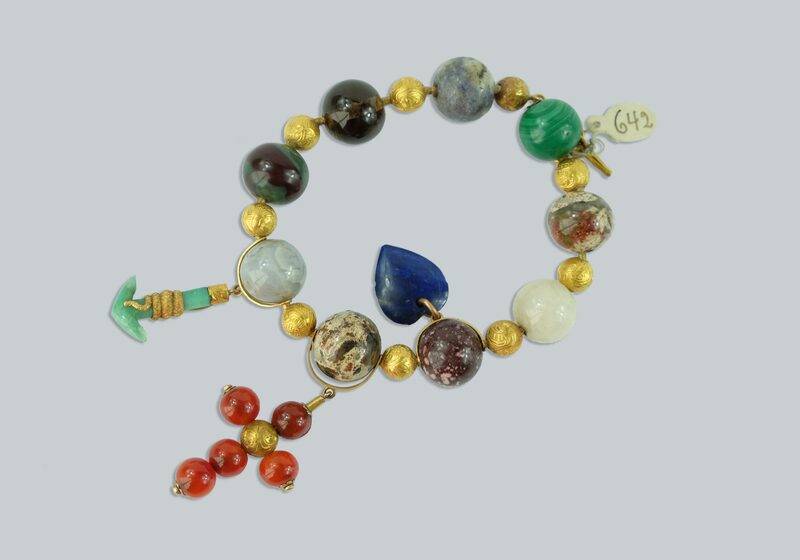 In this bracelet from the first half of the XIX century belonging to Zofia Brochocka it is difficult to miss a likeness to contemporary charm bracelets of similar design. Franciszek Malewski befriended Mickiewicz during his stay in Russia. Together they visited the house of Maria Szymanowska, were they both met their future wives. Celina was 14 years younger than Mickiewicz, who remembered her as “a child, kind, lively and happy”. 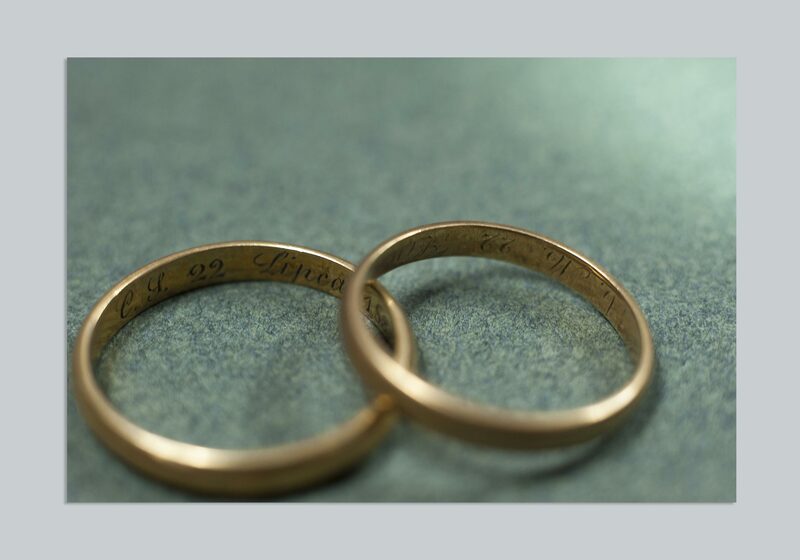 The date of their wedding and initials were engraved on the interior walls of the Mickiewicz couple’s wedding bands. In his letters Mickiewicz often recalls his daughters. He describes Maria as a lively and talented child, while Helenka (if you are to believe her father) was a good housekeeper and tidy. 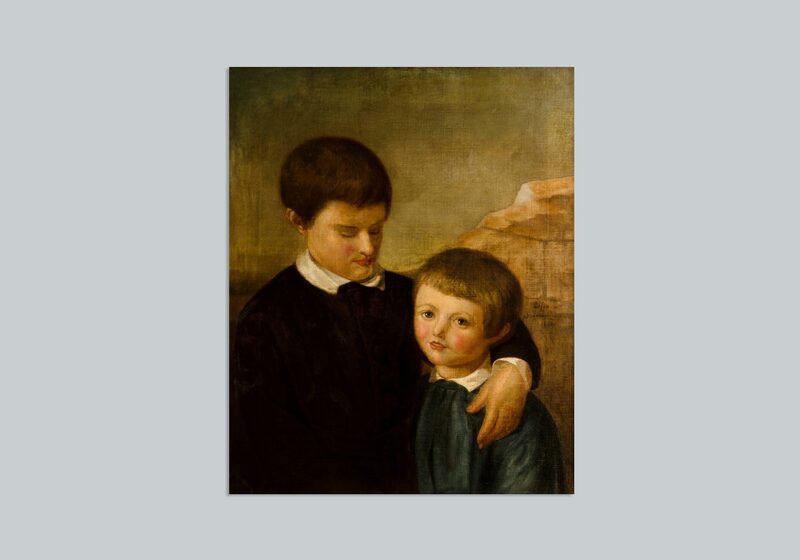 Aleksander and Jan were, respectively, the forth and fifth child of the Mickiewicz family. The younger son was prone to mental disorders like Celina, and spent the last almost twenty years of his life in a mental asylum. 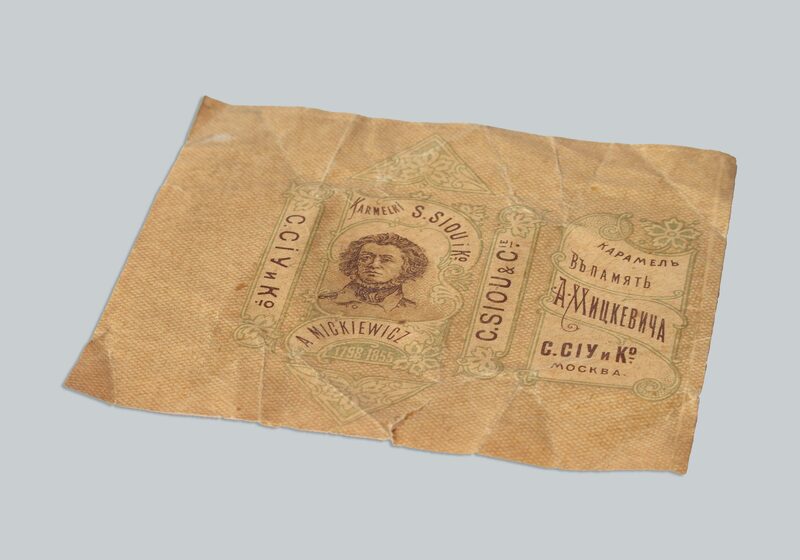 In a note left for Zofia Szymanowska, Celina’s half-sister, Mickiewicz specifies the amount of pocket-money to be given to his children. They were usually looked after by Zofia Szymanowska during Mrs Mickiewicz’s relapses. 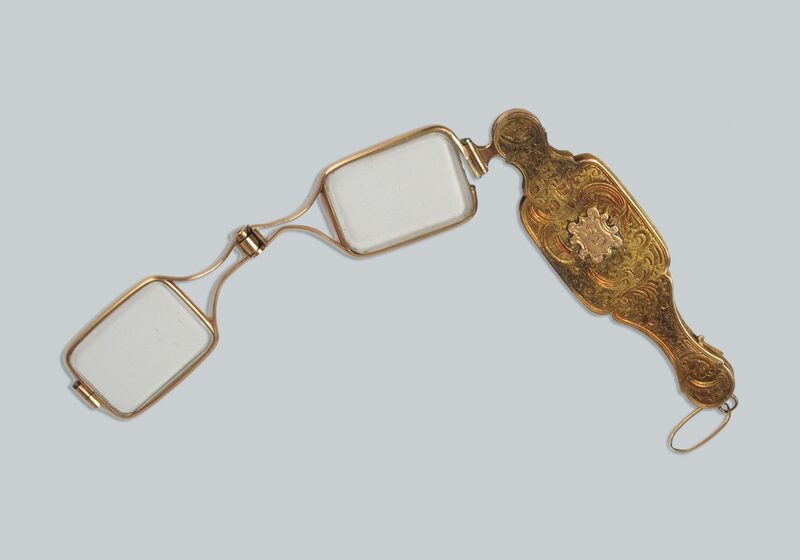 These glasses belonging to Celina Mickiewicz are a portable version of the so called “face-a-main” popular in the XIX century among women. The mental illness of Mrs. Mickiewicz began at the birth of her second child. Mickiewicz blamed the “mental impact of breastfeeding”, however today it is known as postpartum depression. It is likely that Celina Mickiewicz died of cancer. 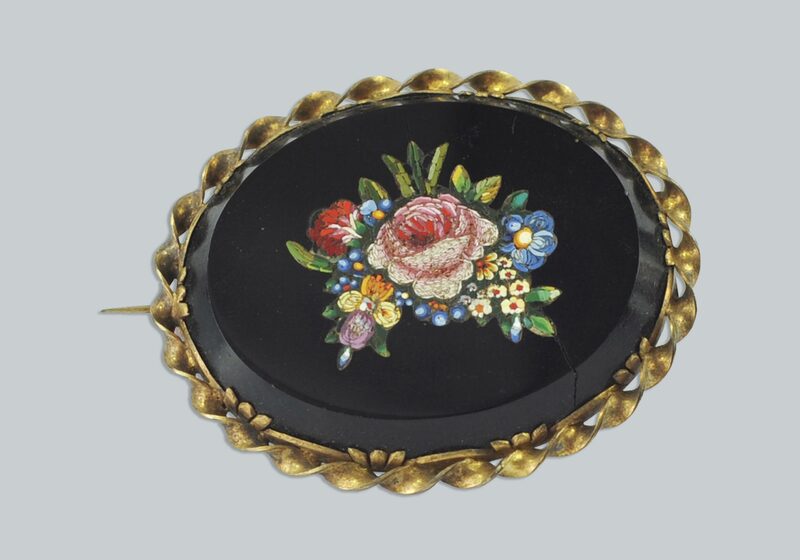 This brooch belonged to Helena Malewska, the older sister of Celina Mickiewicz. 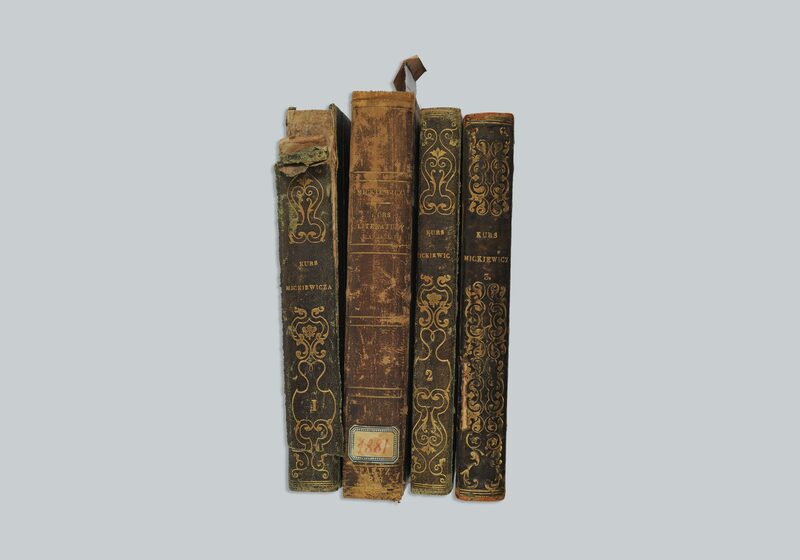 This set also belonged to Malewska. Józef Mickiewicz was the sixth and youngest child of Mr and Mrs Mickiewicz who nicknamed him “Zizi”. He became an orphan at the young age of four and was then raised by the Falkenhagen-Zaleski family. 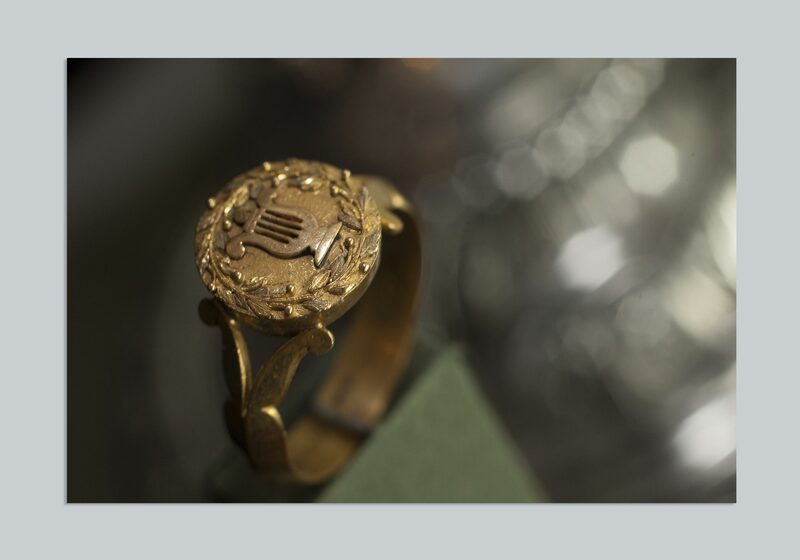 This ring given to Mickiewicz was reforged from a coin which came from a collection for the needs of the uprising. Receiving it, Mickiewicz felt “once again wedded to the nation”. Mickiewicz most often wrote with a goose feather. The poet used this particular one during his expedition to Constantinople. 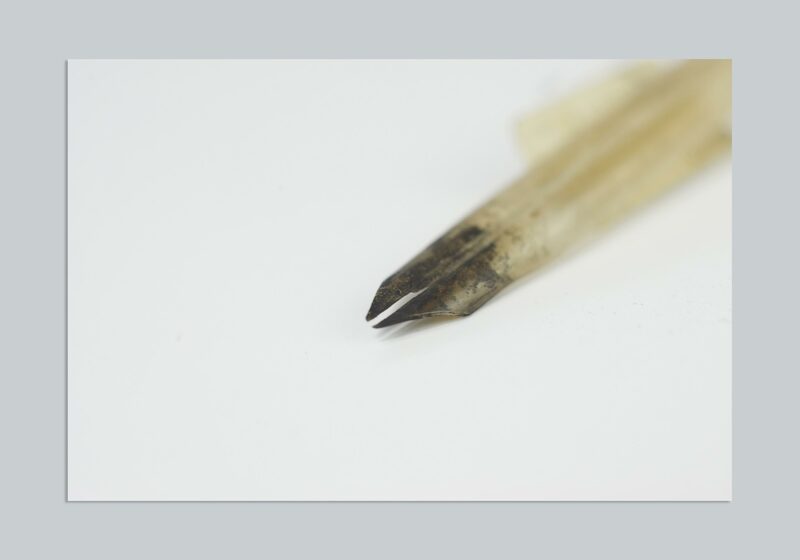 The first metal nibs were patented in 1810. 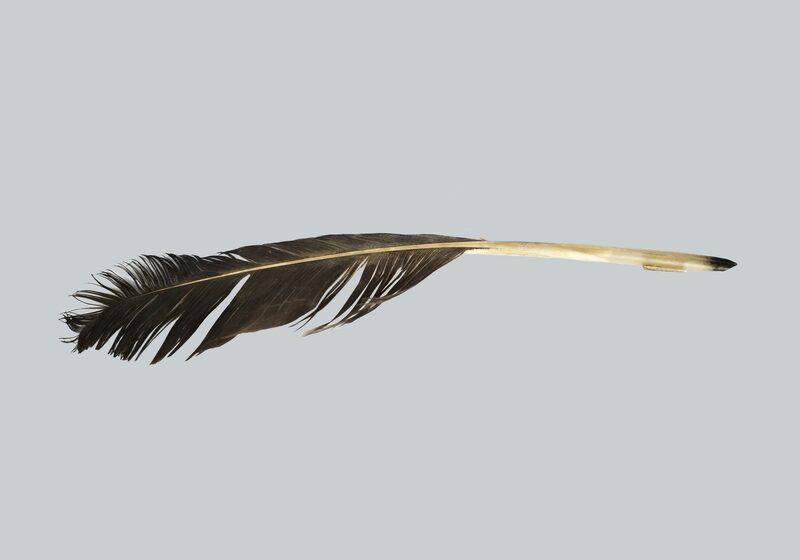 By the end of the XIX century metal pens completely replaced bird plumes. Mickiewicz, as we can see, did not live to see this transition. 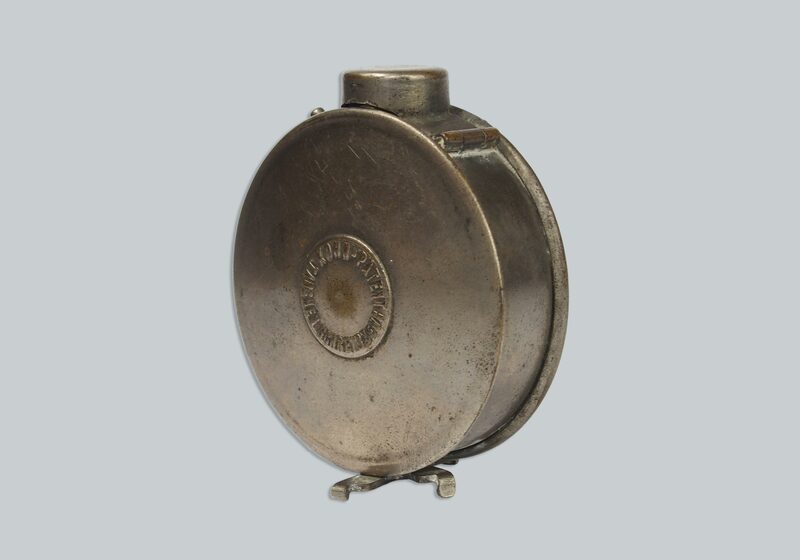 This portable inkwell had a foldable stand in the shape of a cross which allowed placement of a receptacle. 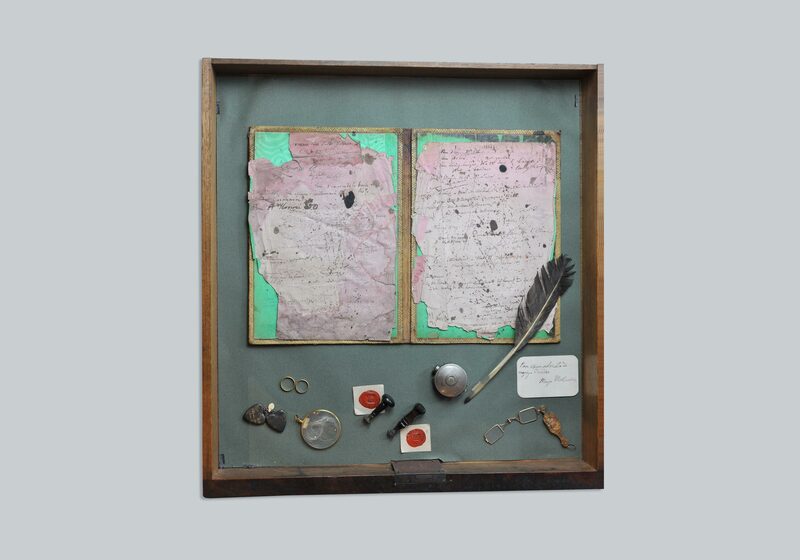 In the drawer of the desk belonging to Mickiewicz which was on display at the Polish Library in Paris there are leather bound sheet on which the poet warmed up his pen. 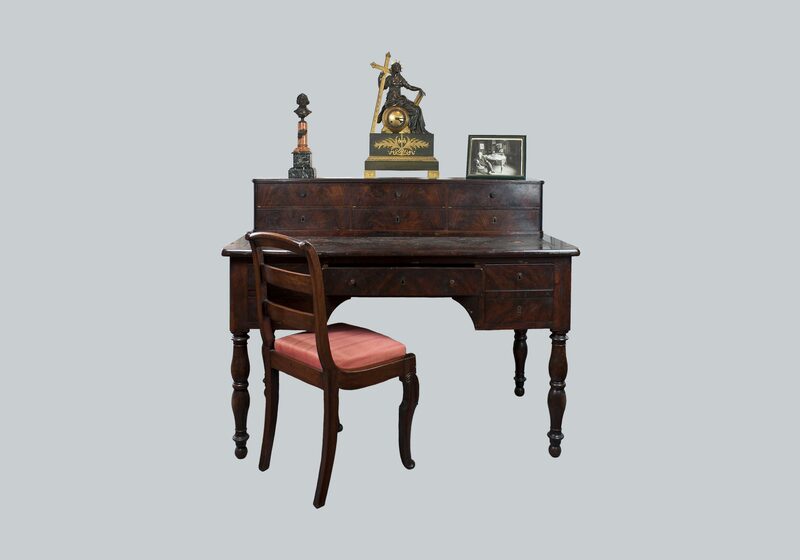 Adam Mickiewicz’s desk is currently in the collection of the Adam Mickiewicz Museum and is part of a display on the poet’s son – Władysław Mickiewicz. In the first version of the work Sir Thaddeus was called Żegota. These earlier versions also didn’t carry the famous invocation “Lithuania, my country”. “Żegota” was the nickname of Ignacy Domeyko – the poet often called him by this name in letters, sometimes also calling him “beloved Ignacy” or “Don Litwinam de Coquimbo”. Mickiewicz and George Sand met in 1836. Sand appreciated the creativity of the author of Dziady – he often visited her home, sometimes even with his family. Relations between Sand and Mickiewicz loosened after his joining the Circle of Divine Cause. 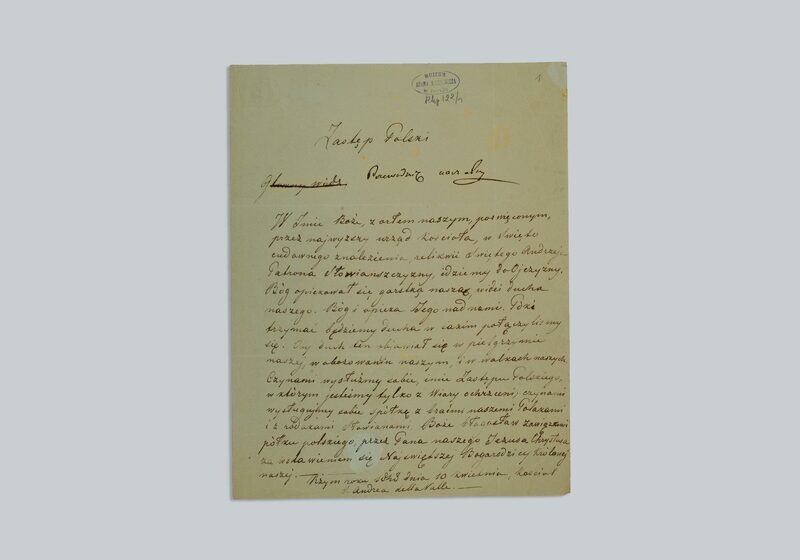 In a letter written on June 3rd, 1837 Mickiewicz thanks Mrs. Sand for a lecture and editing his French drama Konfederaci barscy (Barscy Confederates). Mickiewicz’s improvisations had such an impact on viewers that some who wished to respond to them would do so in poetic form. The initials B.Z. are surely the signature of Bohdan Zaleski. 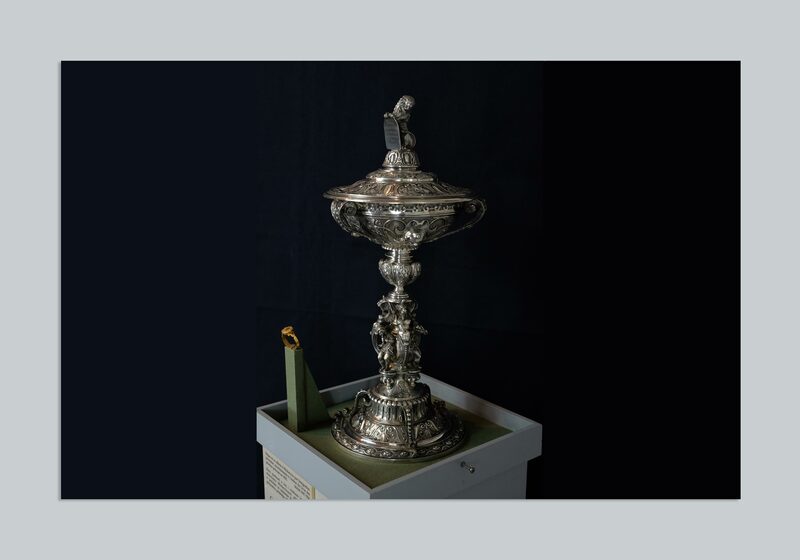 Mickiewicz received this silver cup as a keepsake in honour of finishing his first year of lectures at the Collège de France. 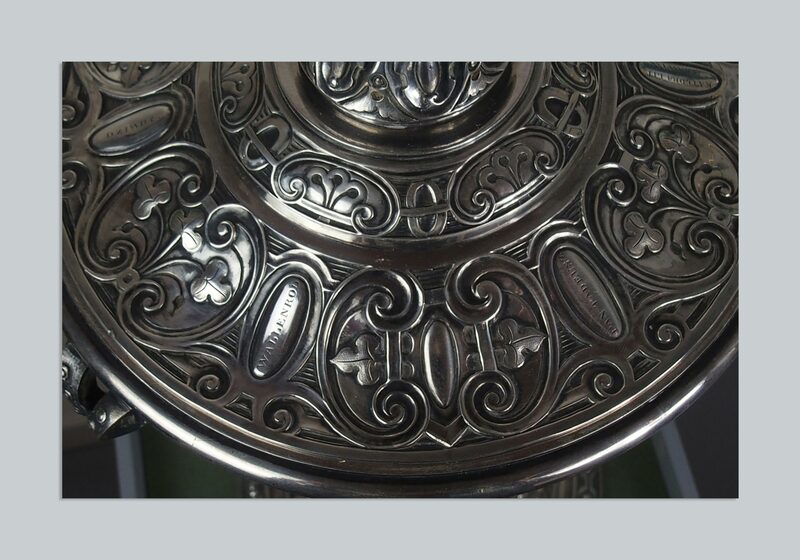 The lid of the trophy is engraved with titles of the poet’s great works. Among those visible are Sir Thaddeus, Wallenrod, and Dziady. 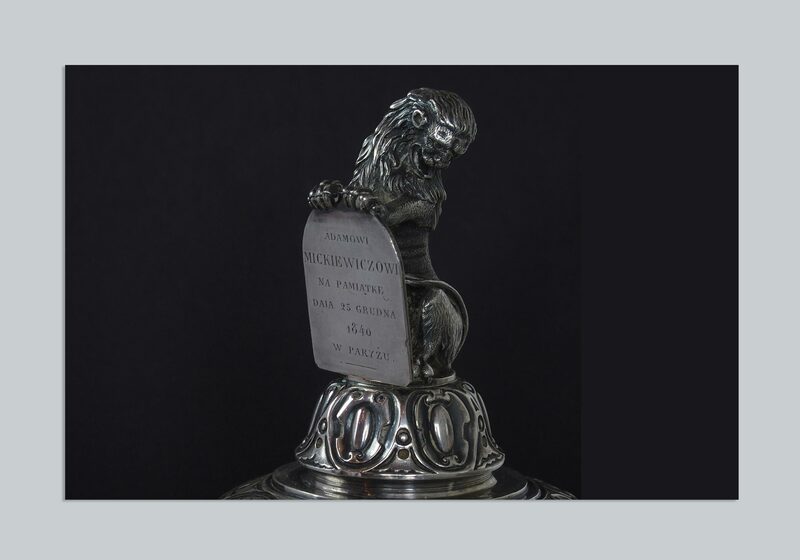 The trophy also included a plaque with the dedication: “For Adam Mickiewicz, in memory of the day December 25, 1840 in Paris”. 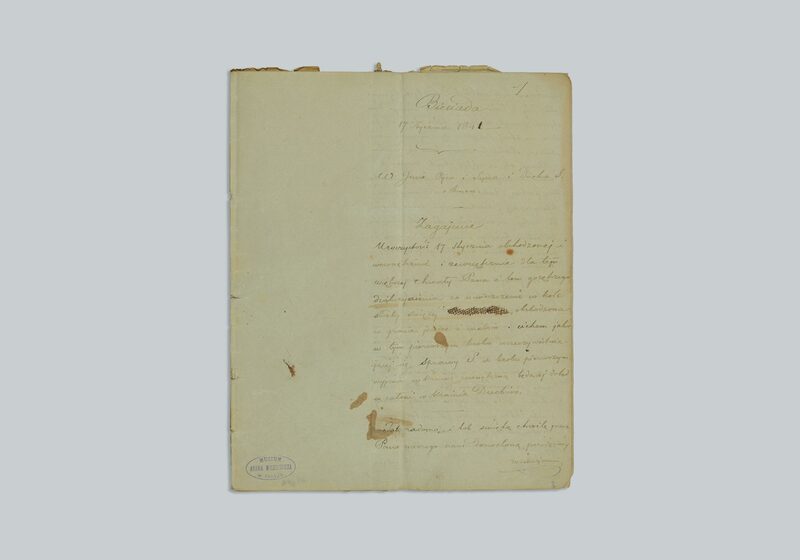 Mickiewicz recored his lecture notes in a thick notepad. As is visible, sometimes he noted his thoughts in the form of schematics. The poet’s lectures on Slavic literature were not curricular material for students – the lecture theatre was made up of, besides a large group of Polish people, French writers and publishers. In 1884 a large bronze medal with the likenesses of three professors who began lecturing in 1840 was placed upon the wall of a classroom in the College de France. Besides Mickiewicz there are philosopher Edgar Quinet and historian Jules Michelet. On the reverse side of the memorial medals a biblical phrase is engraved in Latin: “ut omnes unum sint” – so that all are one. 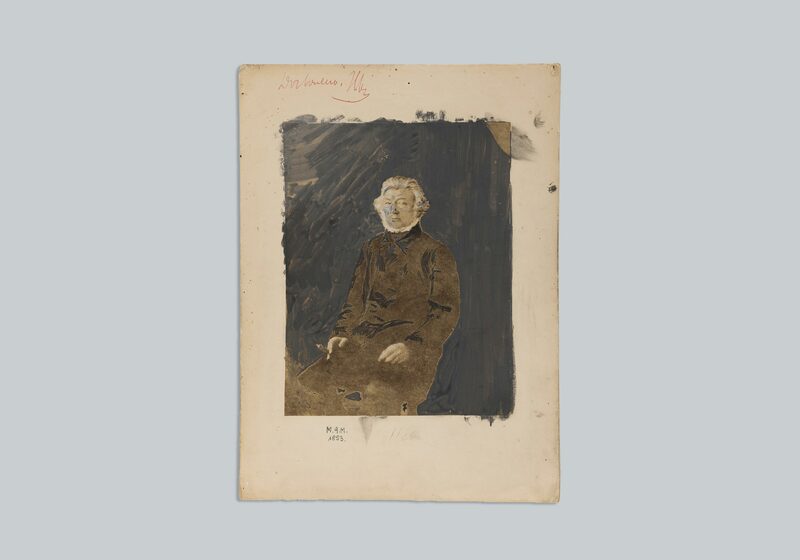 Among those picture closest to the professor the caricaturist placed Ksawera Deybel – a “towianica” (a contemptuous name for female followers of Andrzej Towiański) and long time lover of the poet. 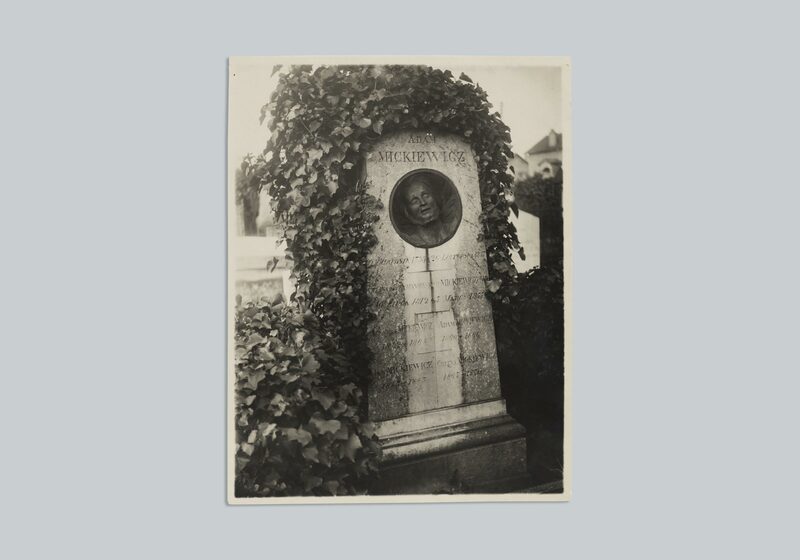 Nadar placed Mickiewicz in his characteristic picturesque Pantheon – he was one of the first and most important photographers of XIX century Paris. 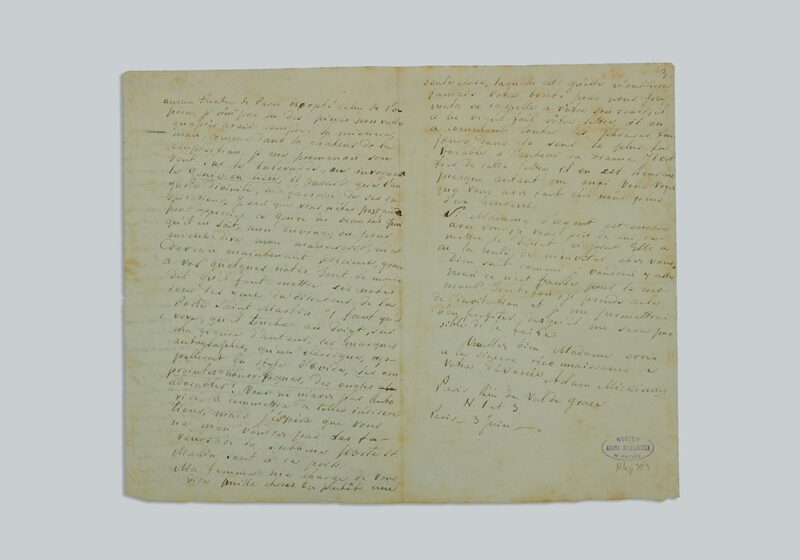 Lectures at the College de France, issued based on transcripts, were published up to date and in detail by local press. Biesiada (The Feast) was a relation of Towianski’s meeting with Jan Skrzynecki (the leader of the November uprising) on the battlefield of Waterloo. 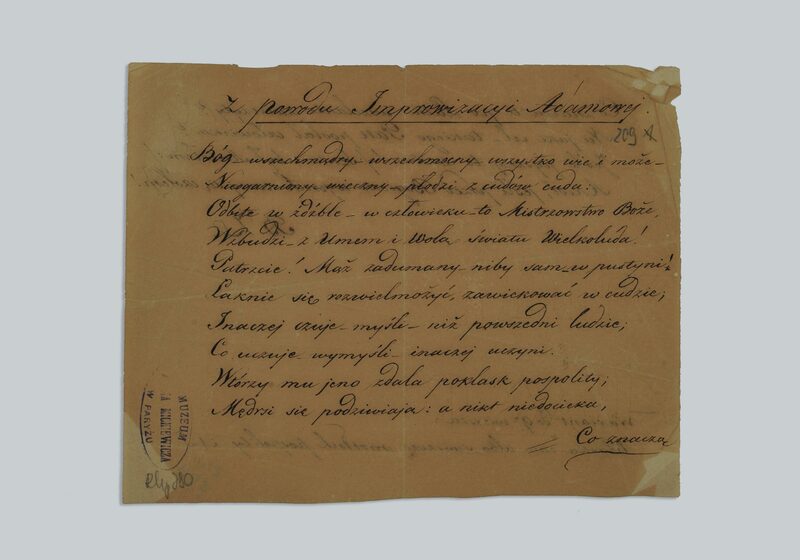 Towianski gave the original manuscript to Skrzynecki. His wife – a zealous Catholic – in turn relayed it to Resurrectionist priests. 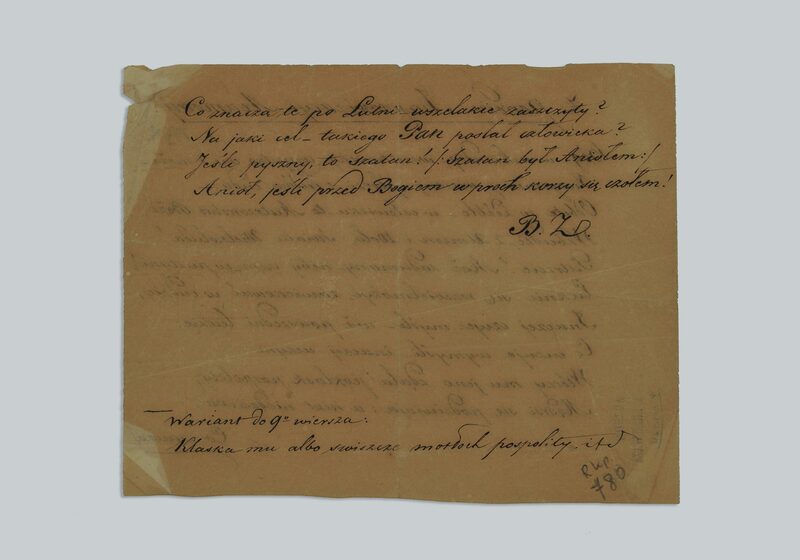 However, as can be seen on the manuscript, now held in the BPP’s collection, there are also some corrections made by Mickiewicz. According to the Master, the Towiański beloved Napoleon I was a pivotal figure in the fate of the world and the embodiment of the French nation’s mission. In February 1847 Mickiwicz officated the wedding of a couple who were members of the “Circle of Divine Cause.” It turned out that Towianski opposed to this wedding officiated by “brother Adam” and considered it invalid. He instructed the couple to instead undergo a church wedding. 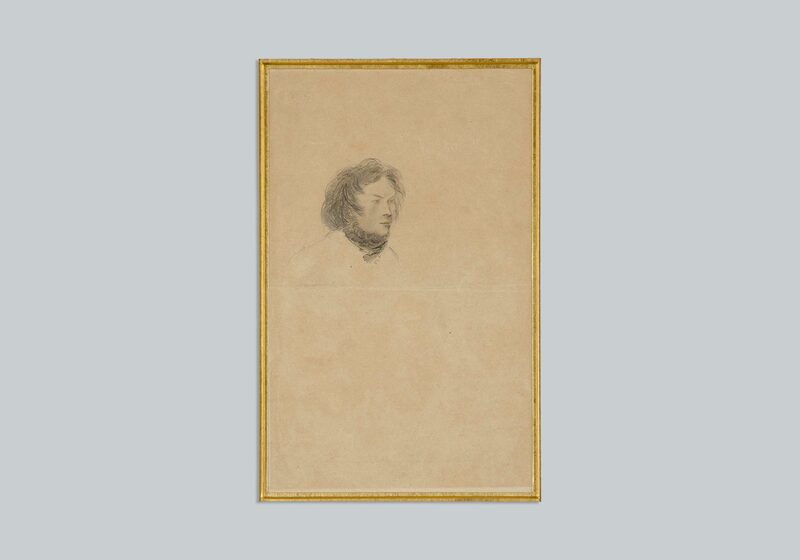 This photographic portrait of Adam Mickiewicz has been retouched with watercolor. It shows the author… smoking a cigar. 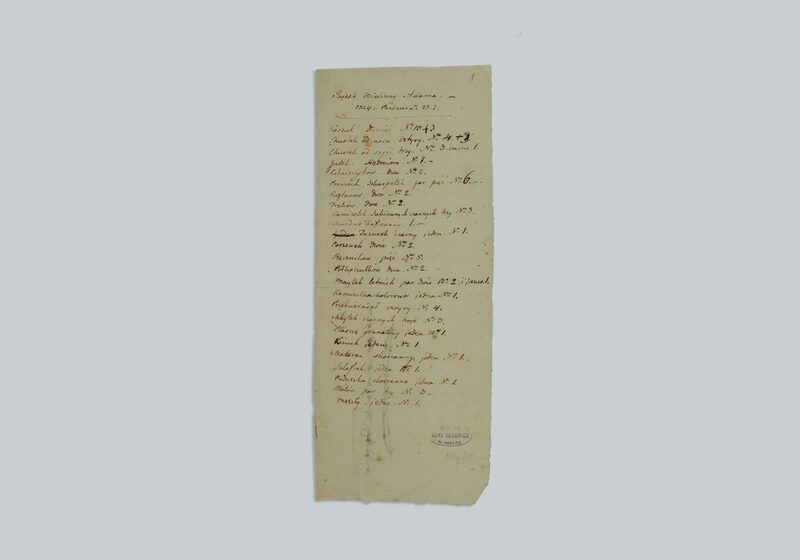 A list of carried personal items was required while travelling in the XIX century. 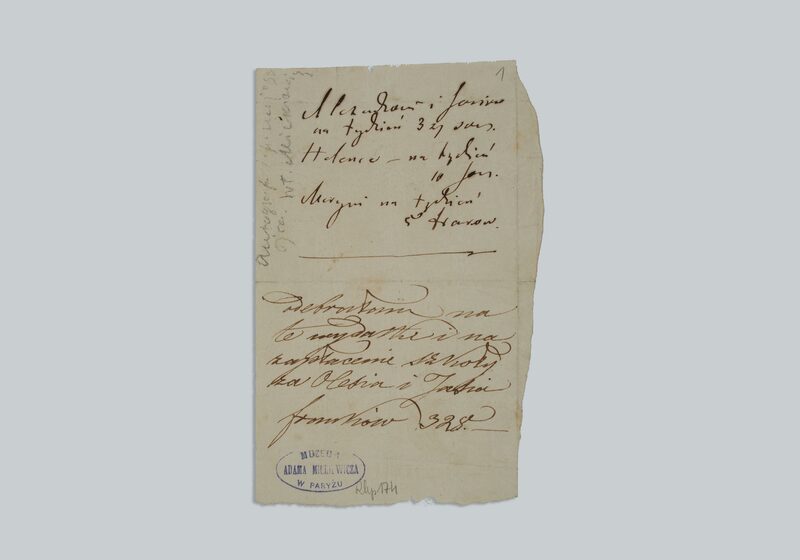 Odyniec, a friend of Mickiewicz, recorded this list during their travels in 1824. Mickiewicz met with Pope Pius IX twice while he was in Italy. He later wrote about the pontiff in “The People’s Tribune”: Pius IX is totally dedicated to preserving the ancient state of what he calls the Church, that being personal heirarchy, belongings and rights of the clergy. On the order for the Polish Legion Mickiewicz corrected his rank from “Main Cheif” to “Guiding Leader”, drawing attention to the moral stipulations of the legion’s existence. In one well known photograph of Mickiewicz the grey haired poet can be seen holding a cane. He did not carry a cane to create an illusion of elegance, exterior appearance was a secondary matter for him. 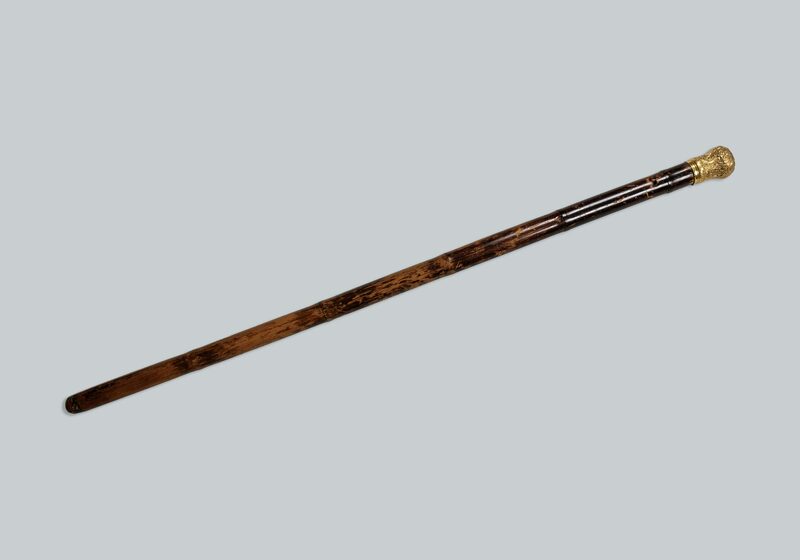 Rather, the cane here represents the staff of a traveller; the sign of a pilgrim. 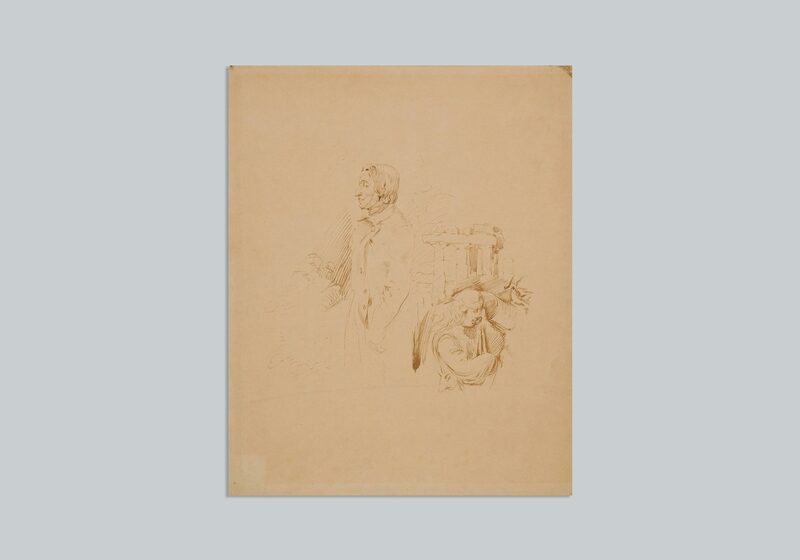 Mickiewicz met Norwid in Rome, who sketched the author of Dziady strolling throught the Roman Forum. After his death Mickiewicz was dressed in a bright blue “confederate” – a hat who’s name came from Bar confederates; a politically charged decision. 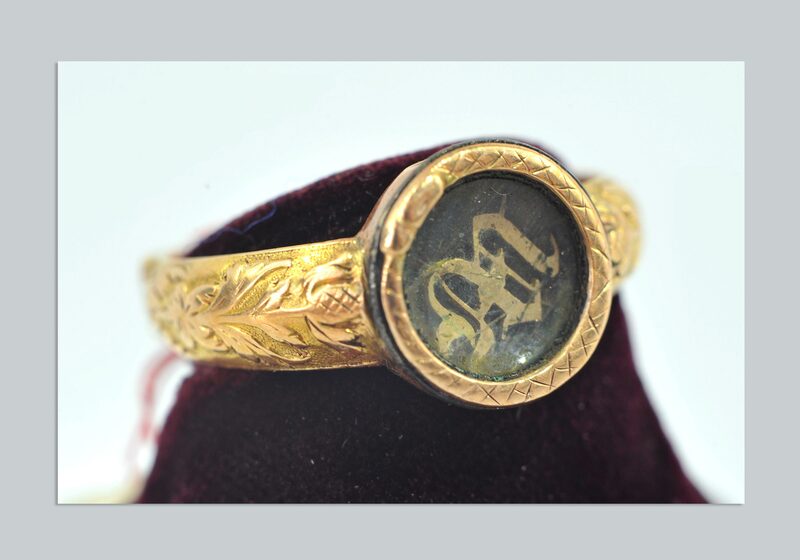 Armand Levy, an undertaker who took care of the poet’s remains, noted this was in fact a part of his daily dress. 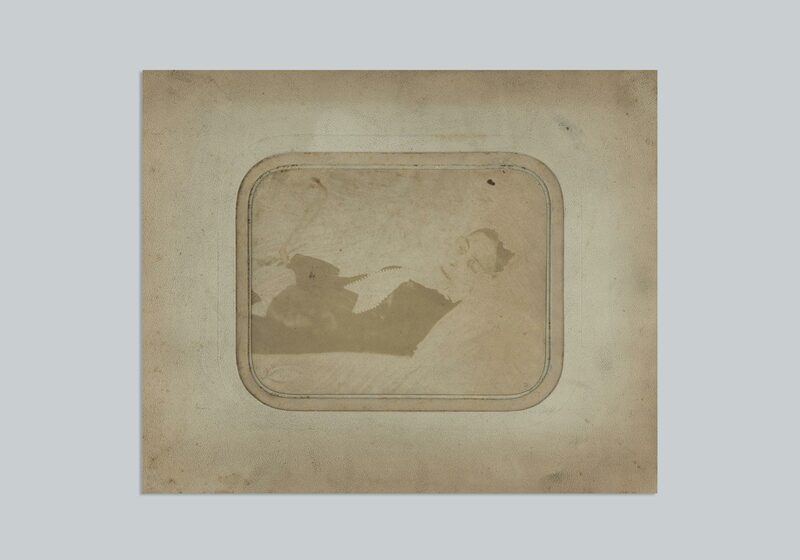 The postmortem photographic portrait of the poet, here coloured in post editing, became the basis for many later representations of the poet’s death. 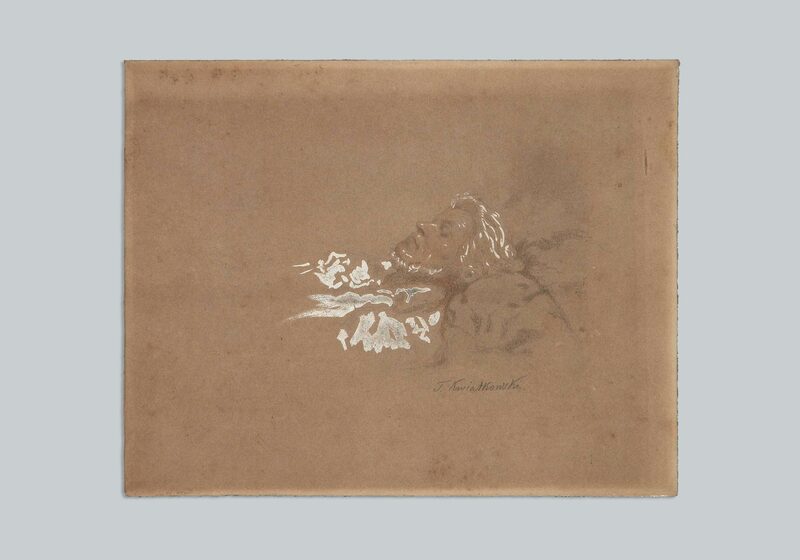 Teofil Kwiatkowski – the most important painter of the Great Emigration- based his own postmortem portrait of Mickiewicz on photographs from Constantinople. 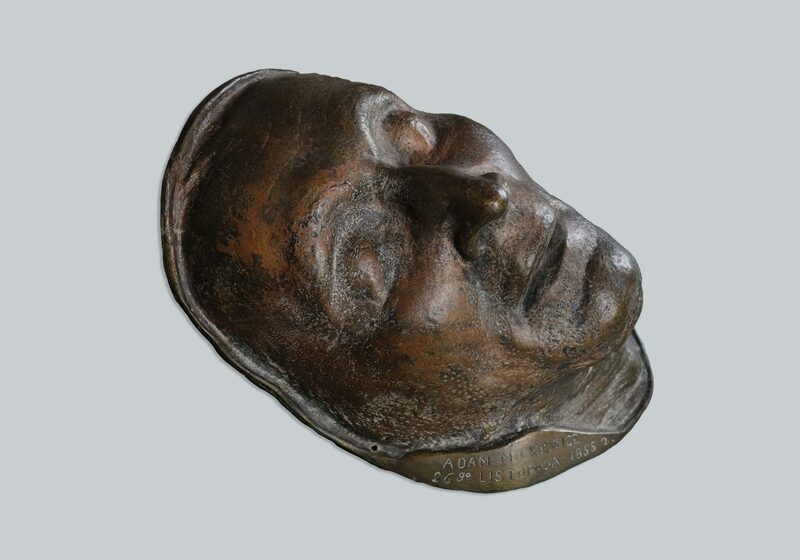 On the death mask of Mickiewicz stubble can be clearly seen. The poet likely didn’t shave, nor was he shaved during the last days of his illness. The preparation of death masks is an ancient tradition whose roots can be traced back even to antiquity. Interestingly, the proliferation of photography in the XIX century did not have an impact on the custom, which is still common practice. 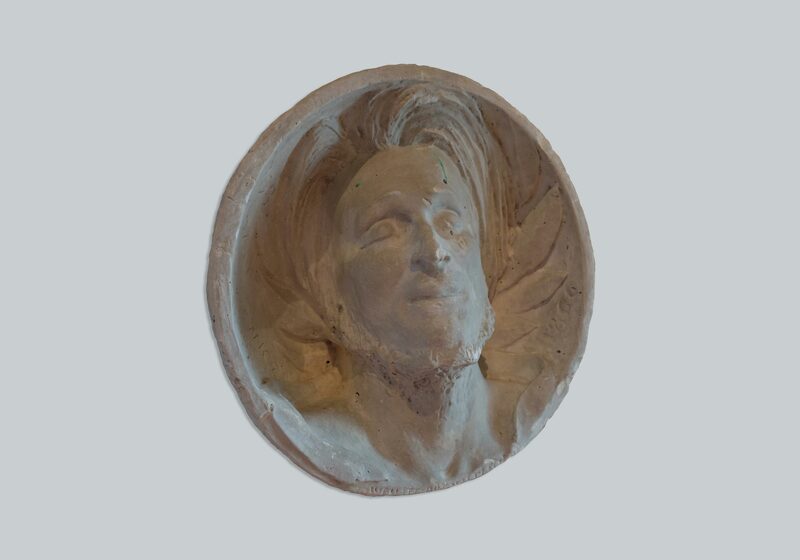 The last image of Mickiewicz inspired French sculptor A. Préault to create the medallion which decorates the first grave of Mickiewicz at Montmorency. Celina and other members of the family are also interred in the same grave. 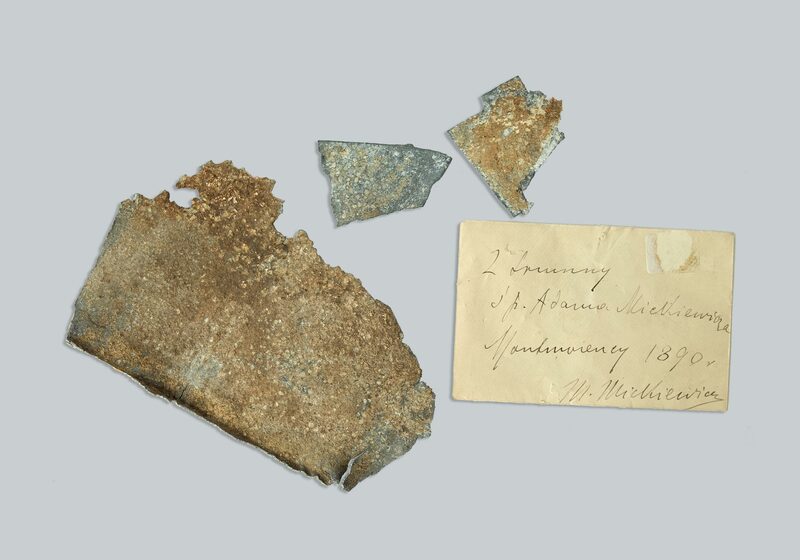 The first of three coffins in which Mickiewicz was buried, that in Constantinople, was made of zinc. After the poet’s exhuming in Montmorency the interior coffin was divided and distributed as a keepsake of the celebration. 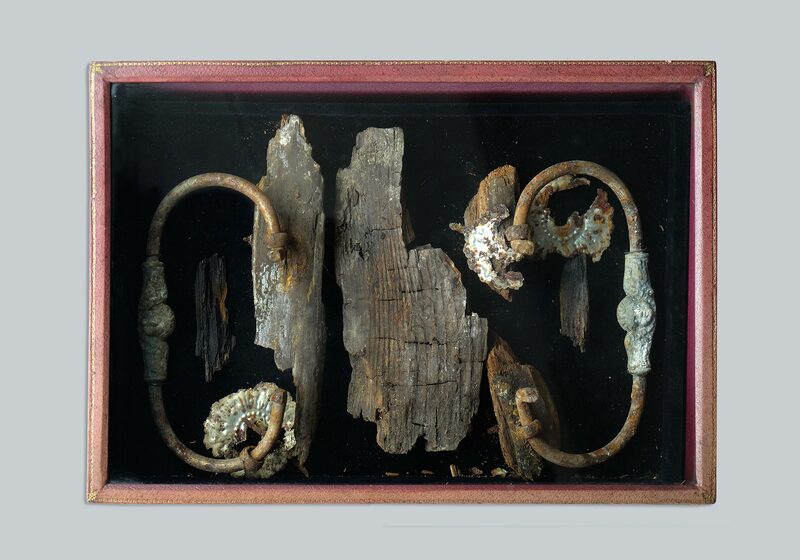 The bolts – rather, handles – from the oaken coffin were also preserved. In the XIX death, exhumation, and observing a dead body were not moving as they are today. 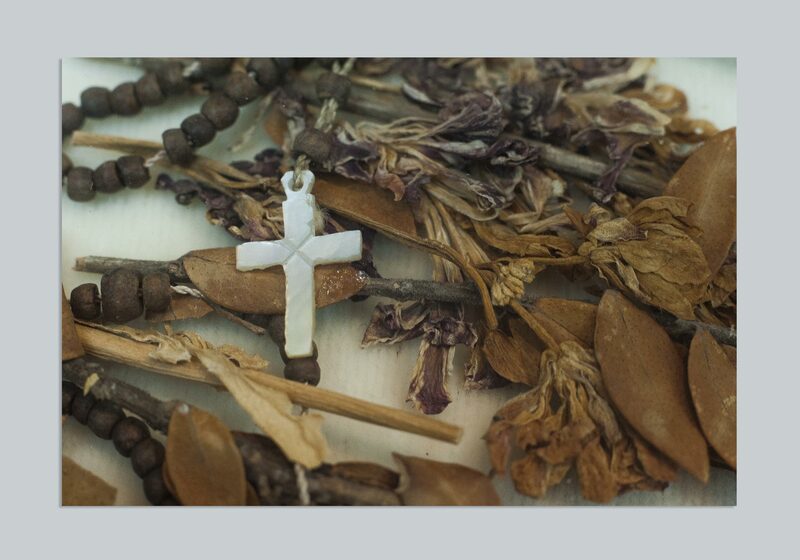 Similarly, collecting objects which were in direct contact with a person’s remains was seen as ordinary. 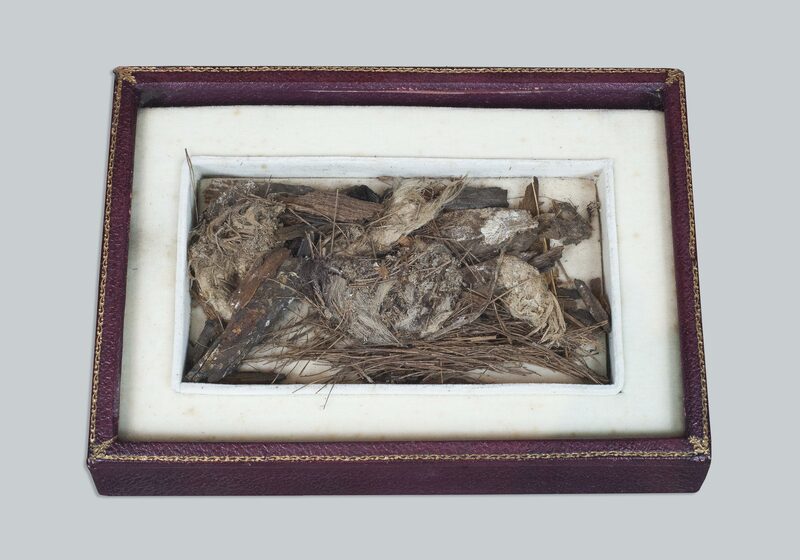 This practice of collecting postmortem mementos from loved ones remained until the second world war, which radically changed the public image of death. 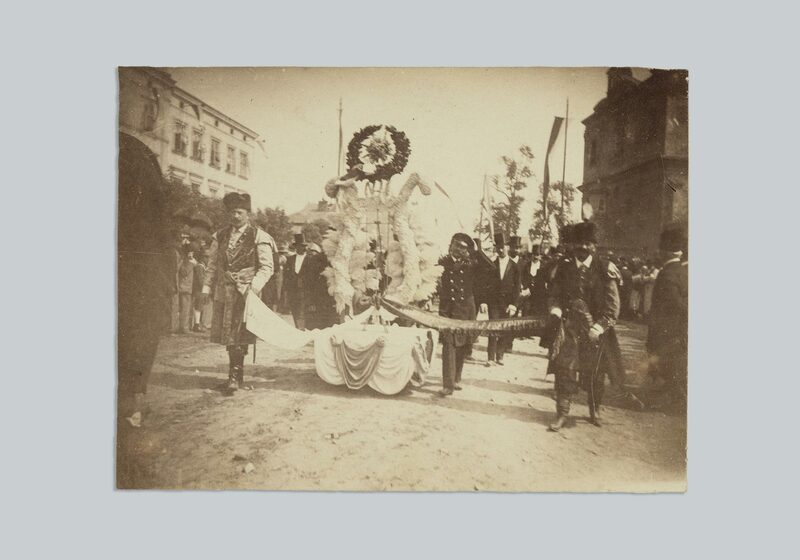 The funeral of Adam Mickiewicz in Krakow was an enormous logistic venture and one of the most important events in Krakow during the 1890s. A bilingual calendar was one of the many objects with the poet’s likeness designed for everyday use produced in the end of the XIX century. Mickiewicz appeared not only on candy wrappers. 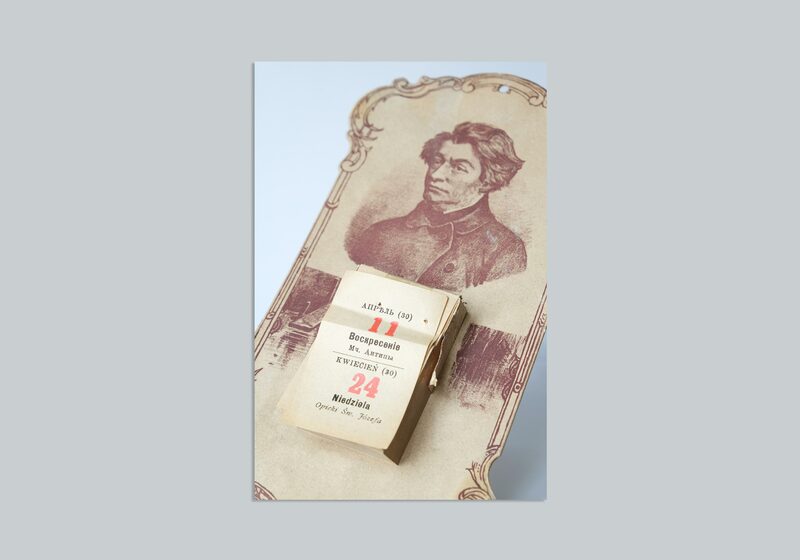 His likeness also advertised consumer items such as “Tatrzanskie” soap. The poet’s works were released in thousands of editions as time progressed. 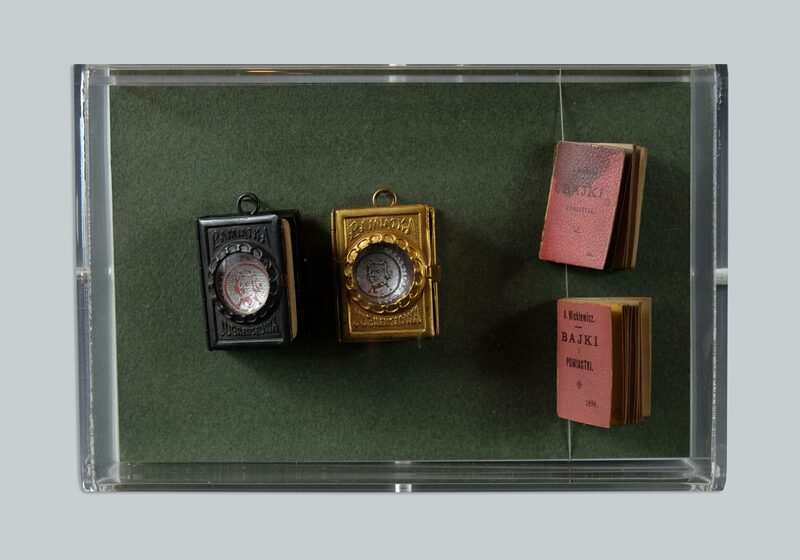 Near the end of the XIX century souvenirs in the shape of mini editions became available. These were only 2cm in height. A monument of Mickiewicz created by Antoine Bourdelle was unveiled in 1929. During the ceremony actors from Comedie Francaise recited many of the author’s works includin Ode to Love. 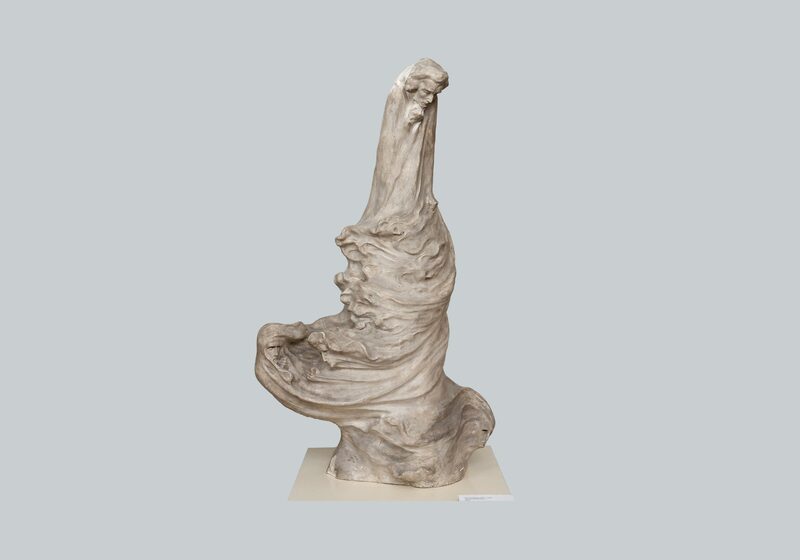 Among the works of Polish sculptor Bolesław Biegas, which are on display at the Polish Library in Paris, is also a work dedicated to Mickiewicz.